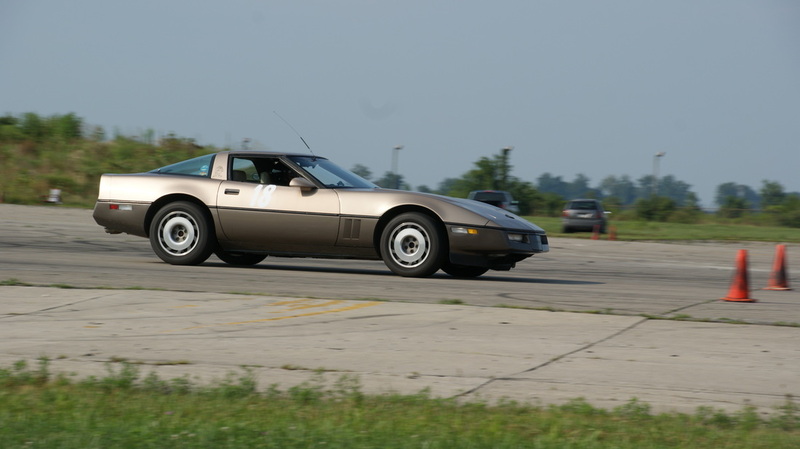 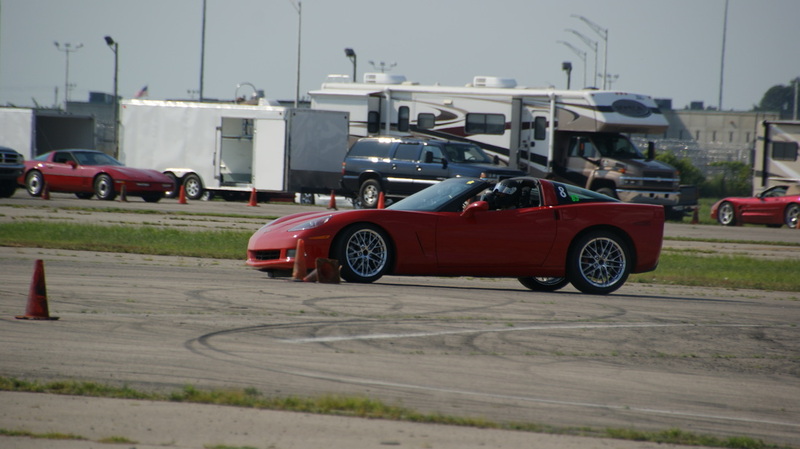 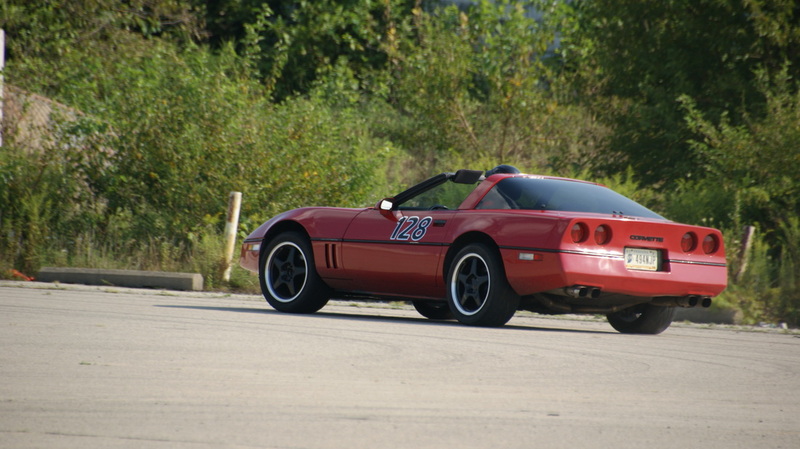 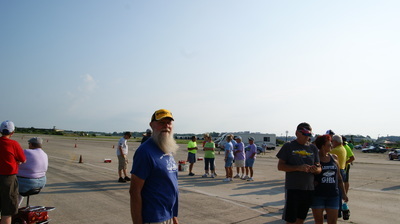 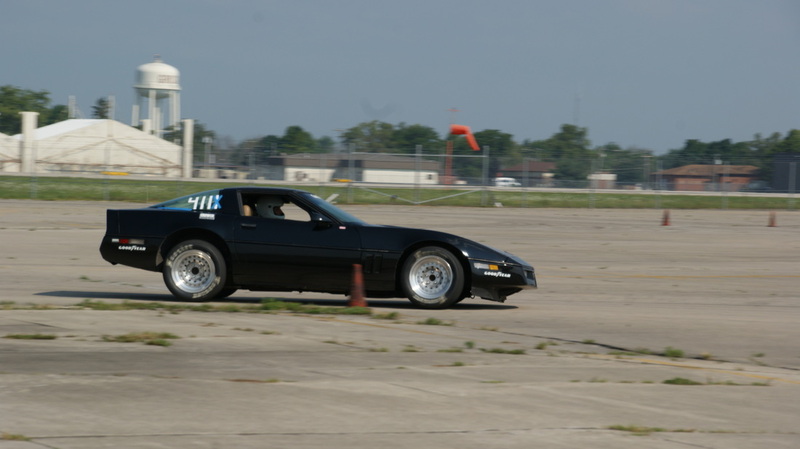 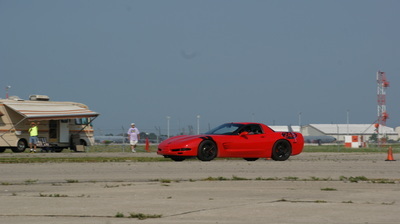 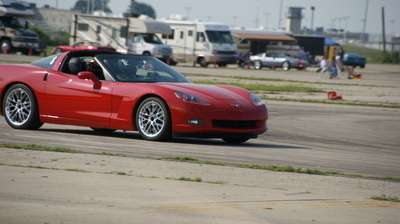 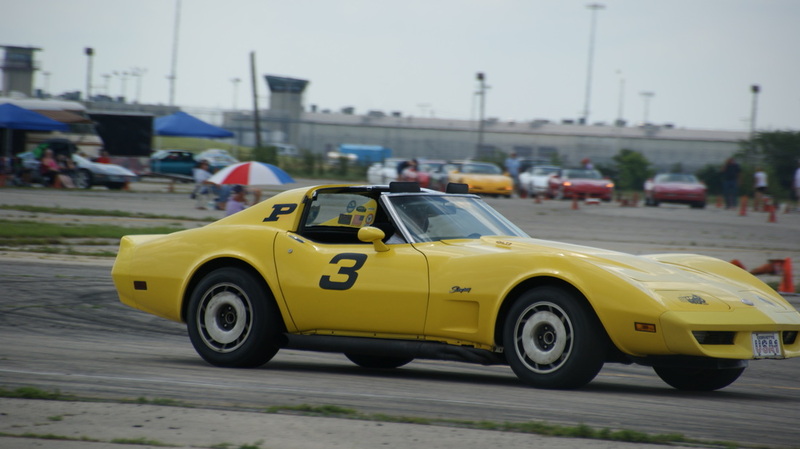 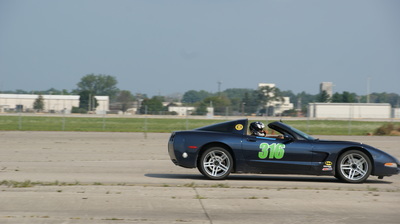 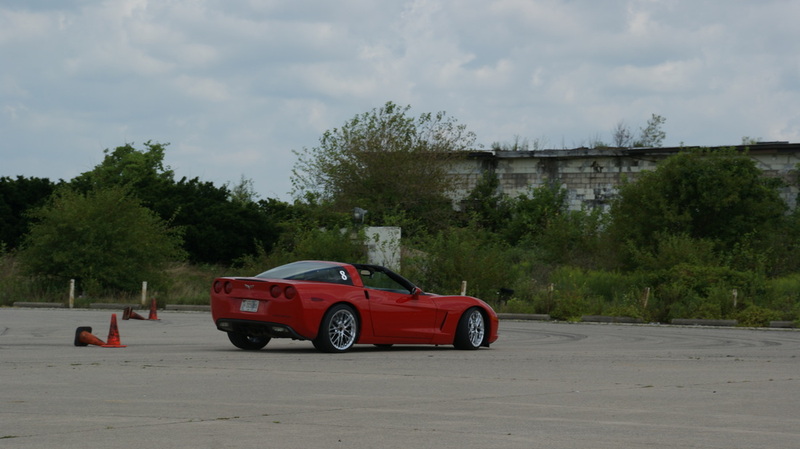 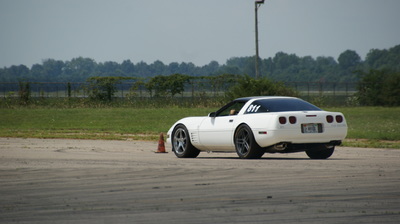 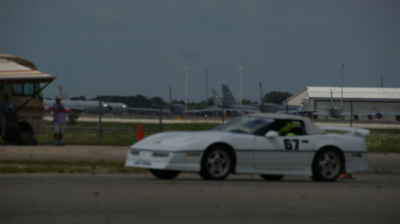 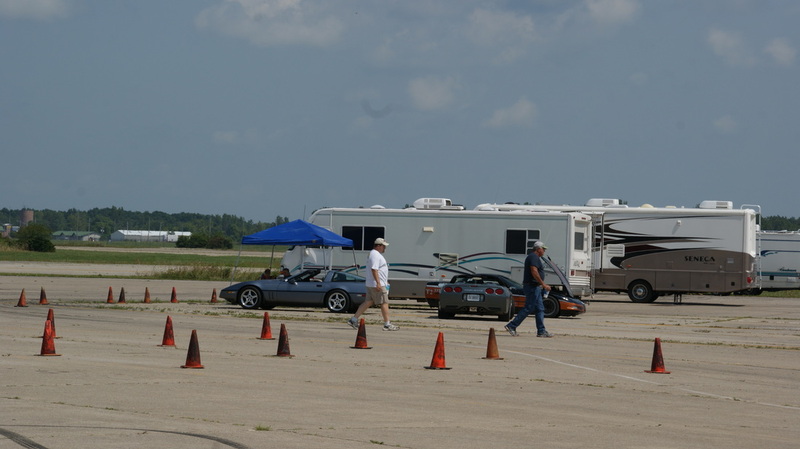 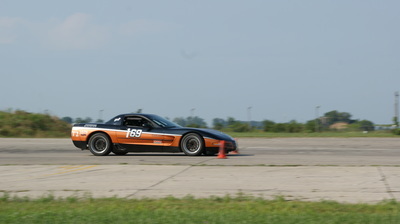 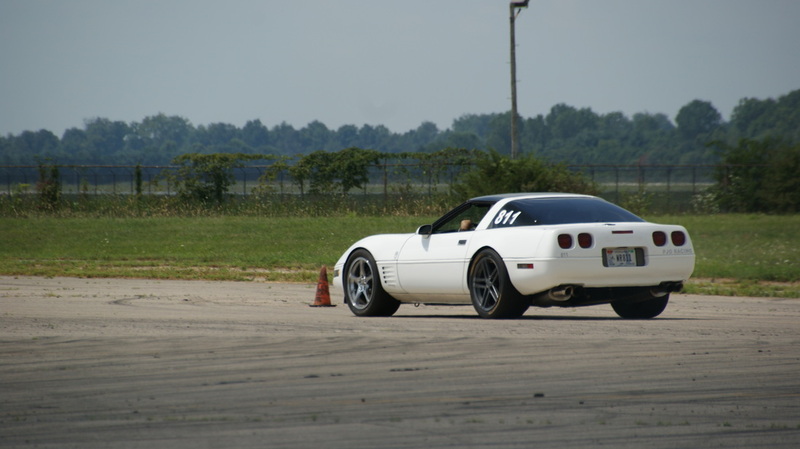 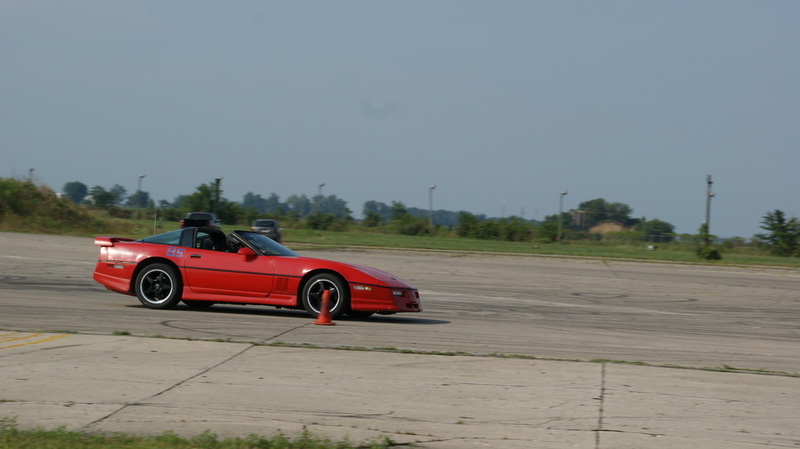 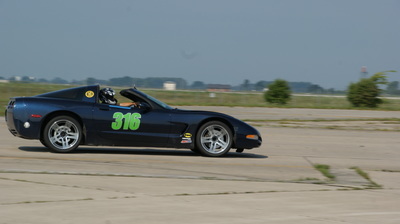 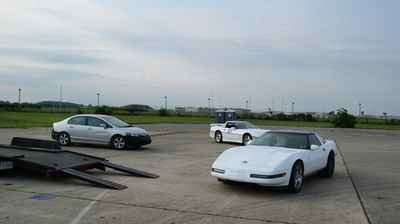 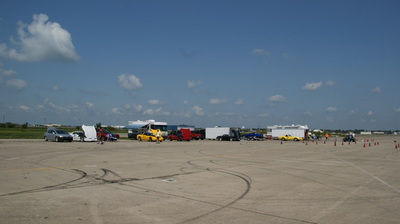 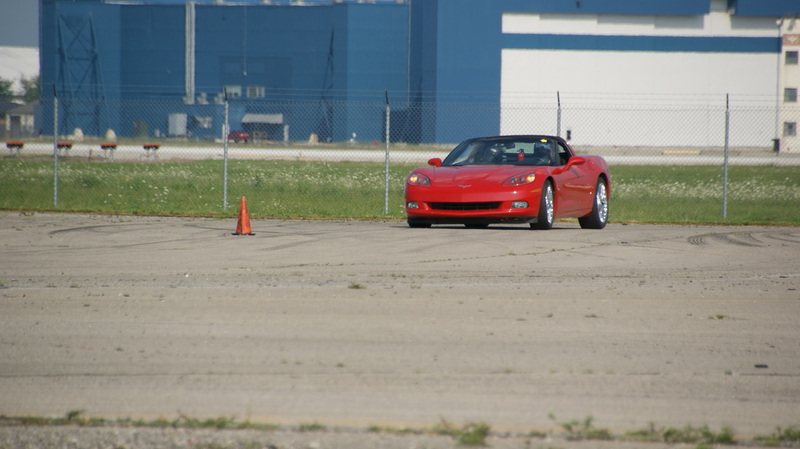 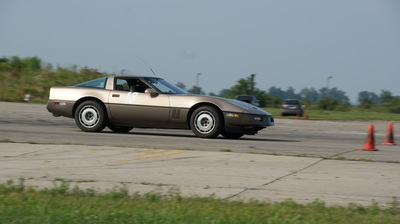 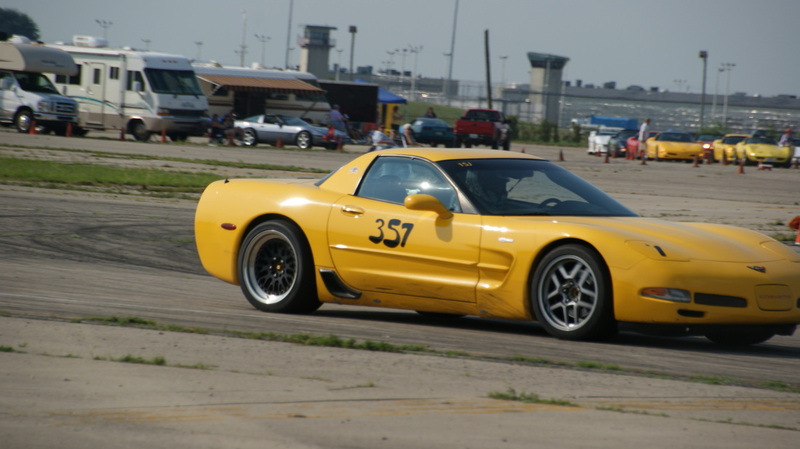 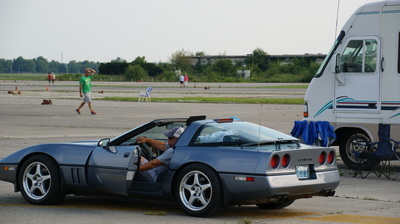 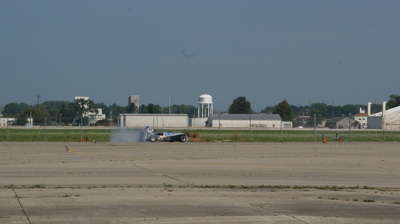 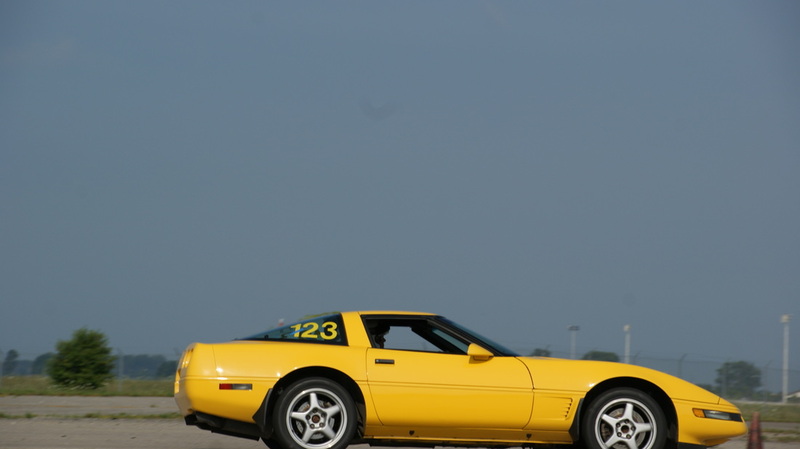 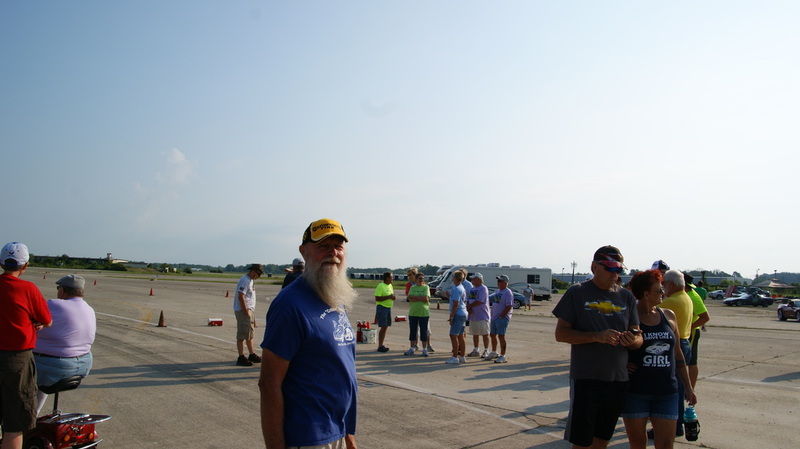 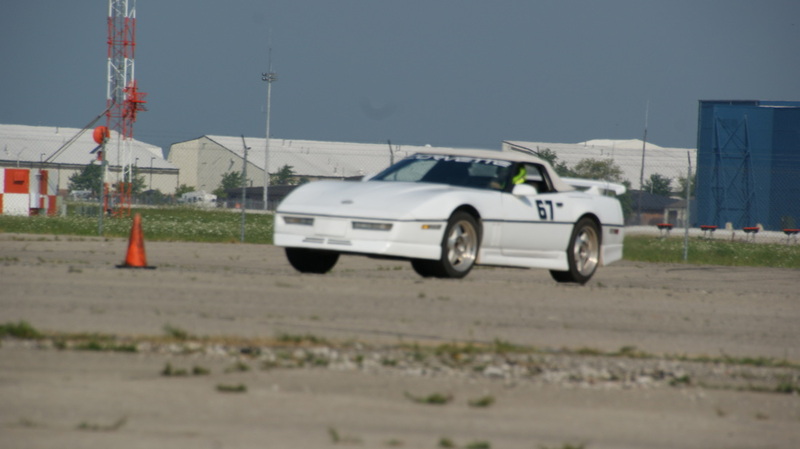 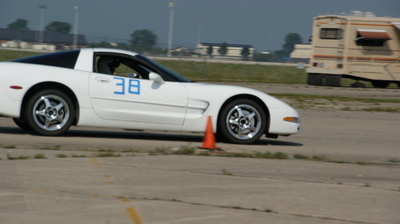 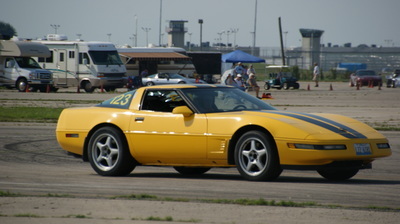 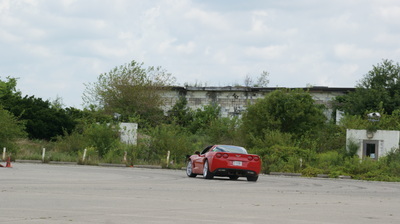 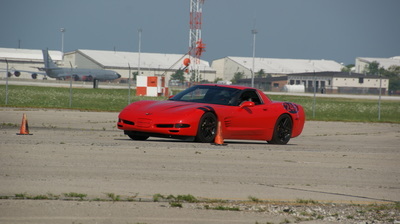 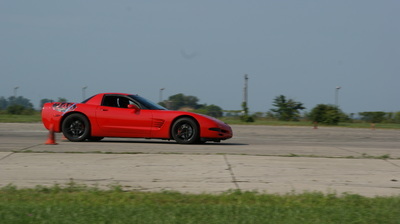 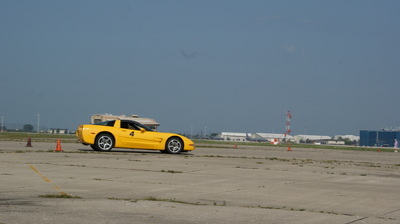 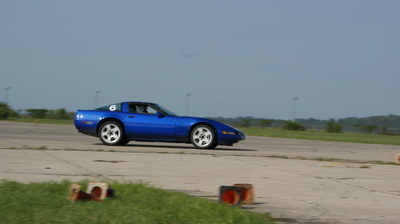 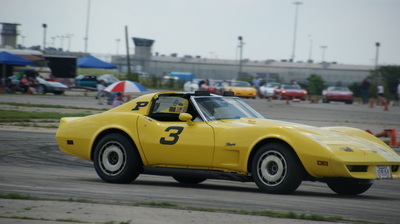 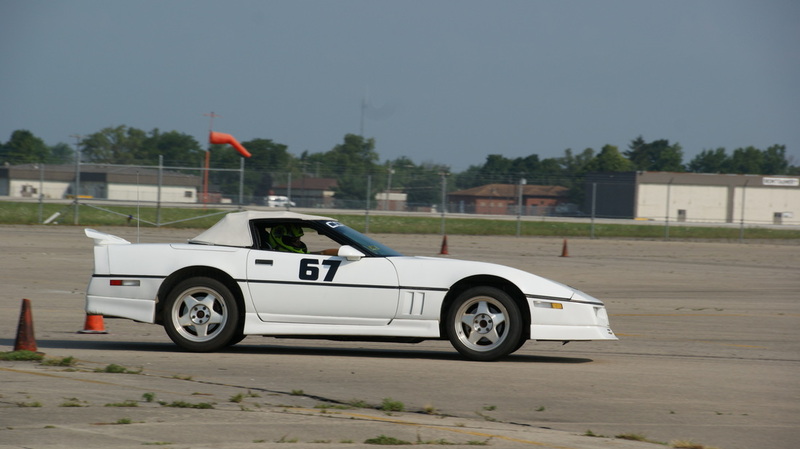 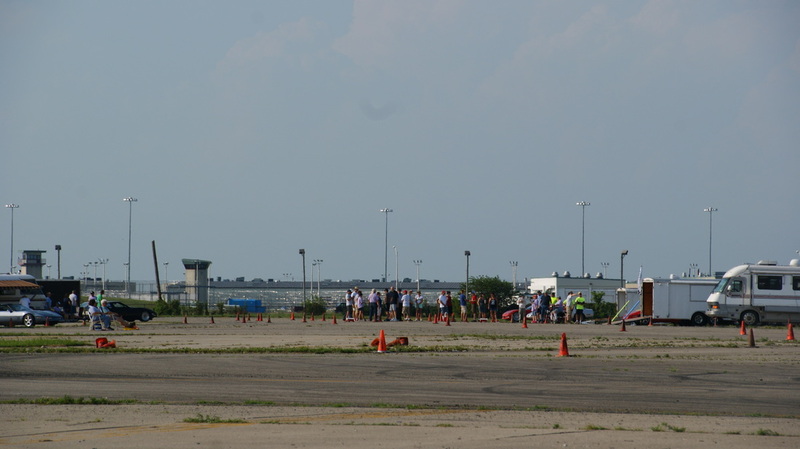 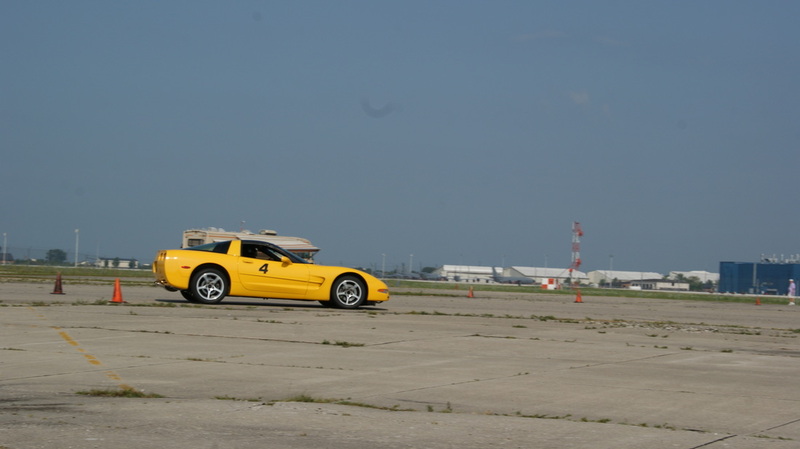 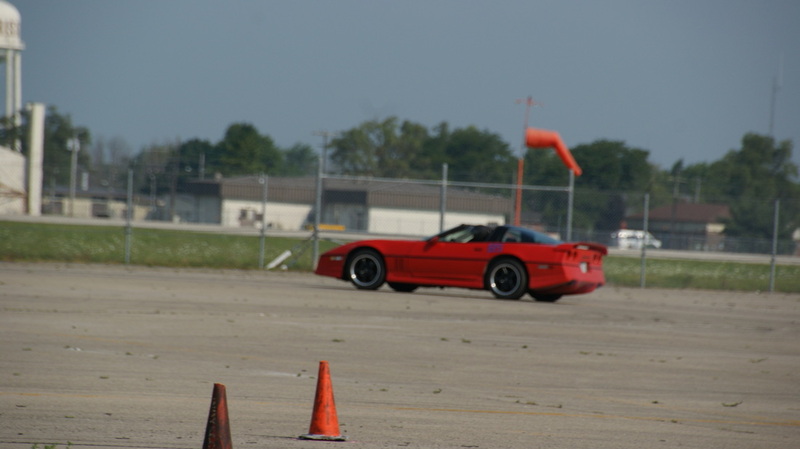 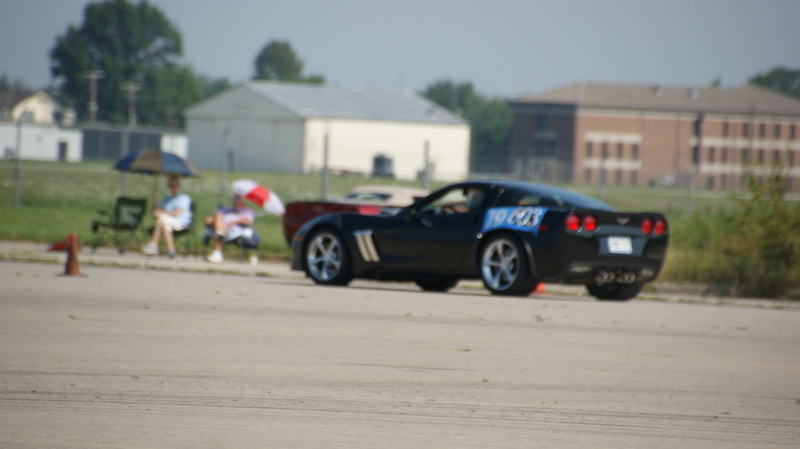 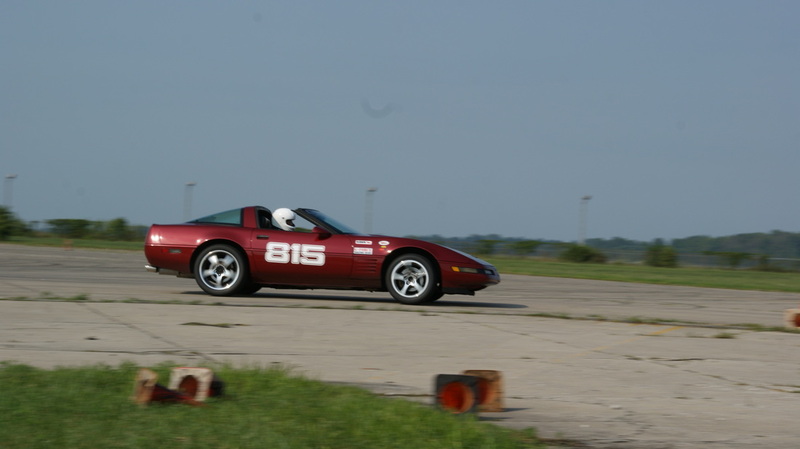 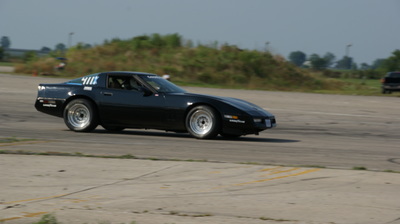 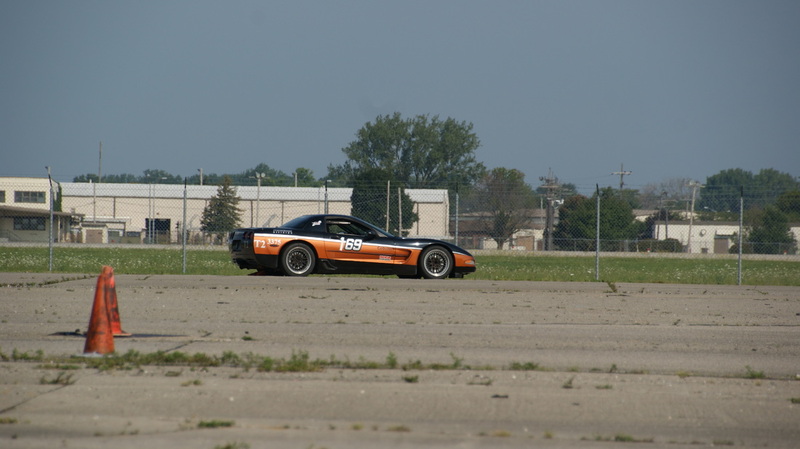 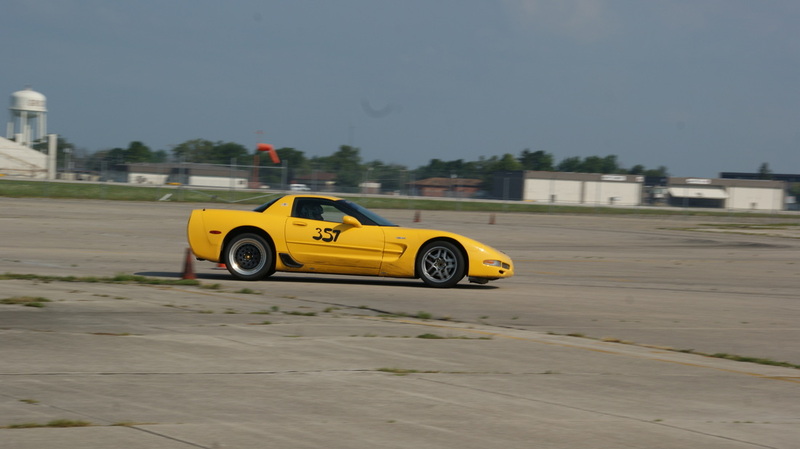 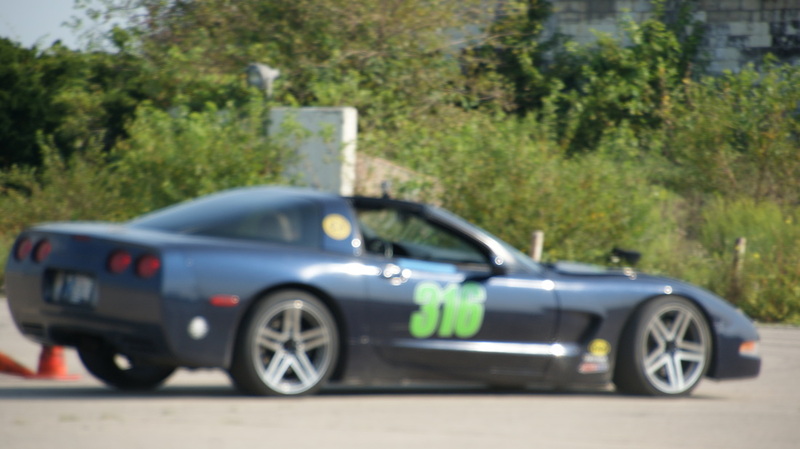 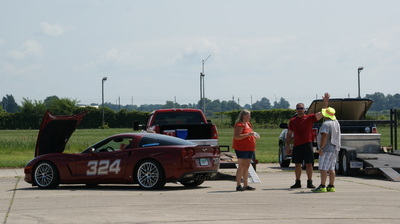 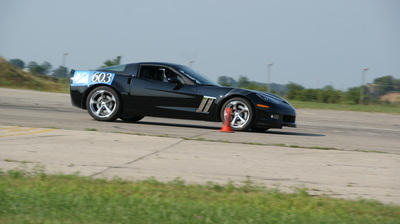 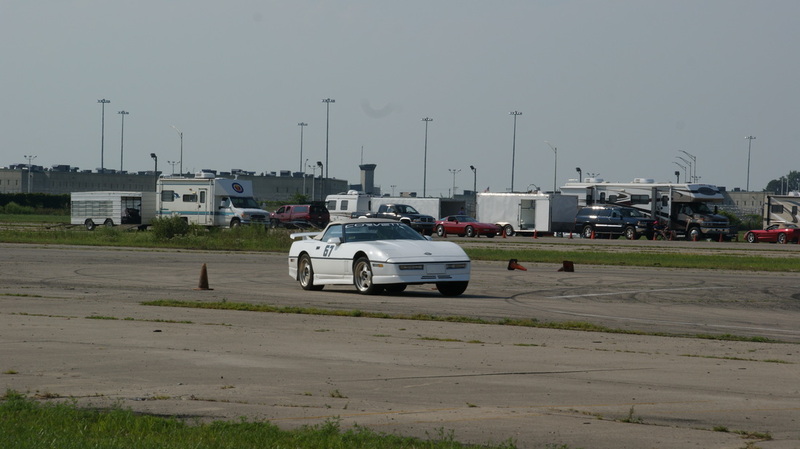 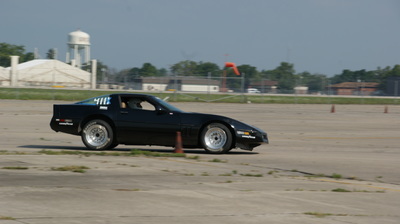 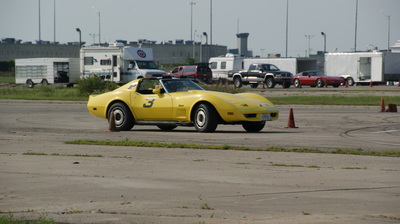 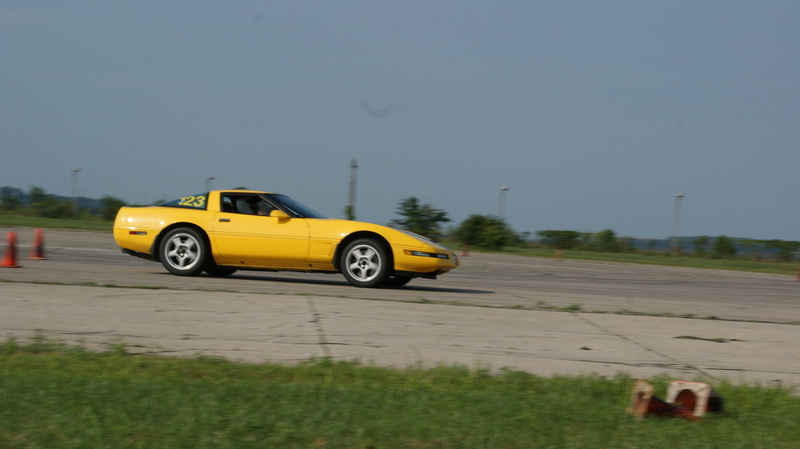 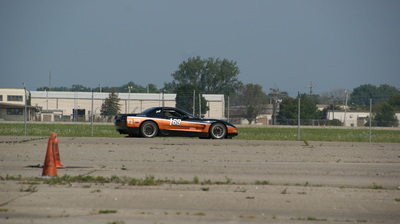 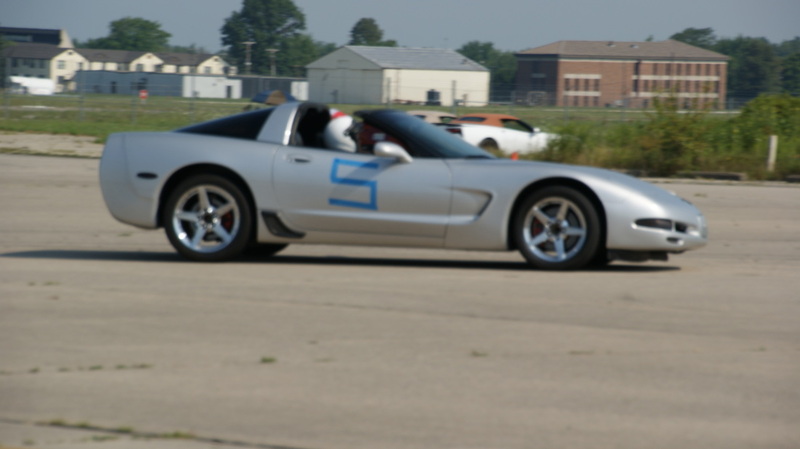 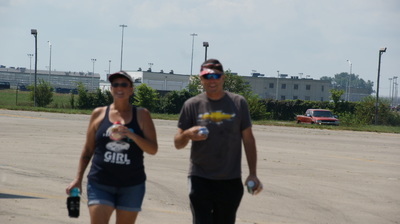 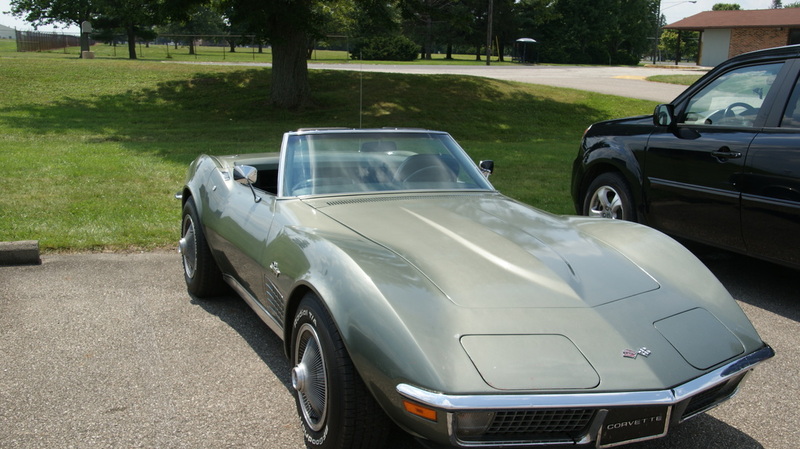 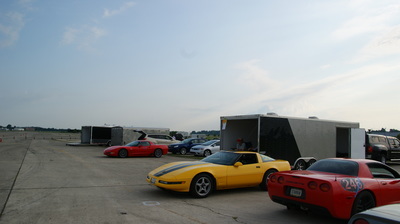 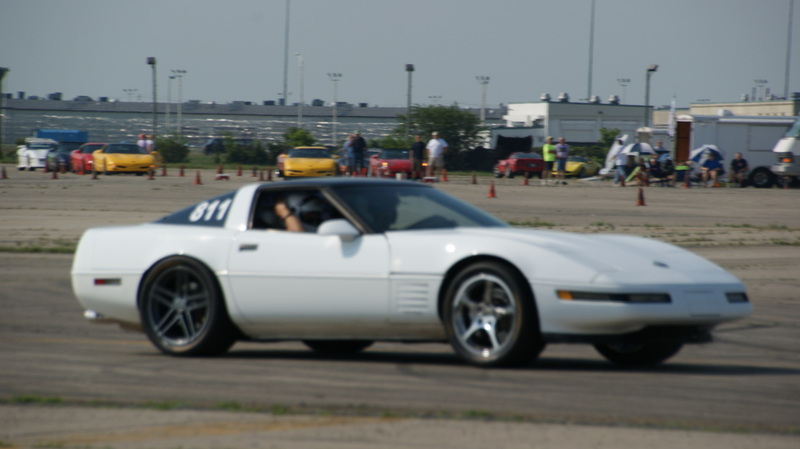 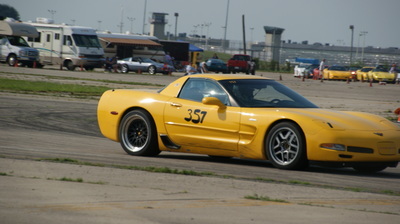 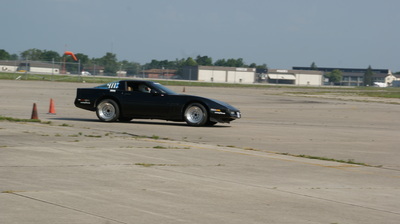 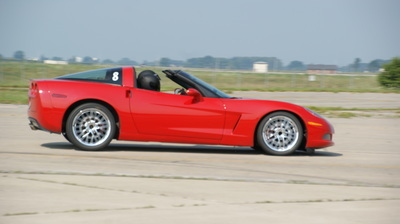 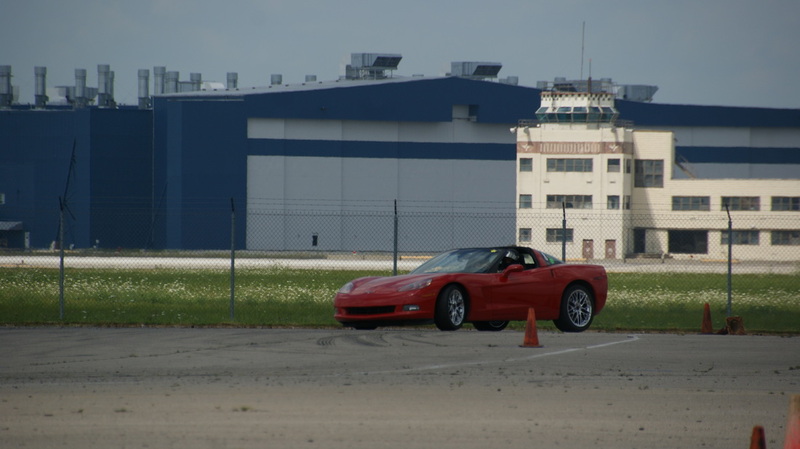 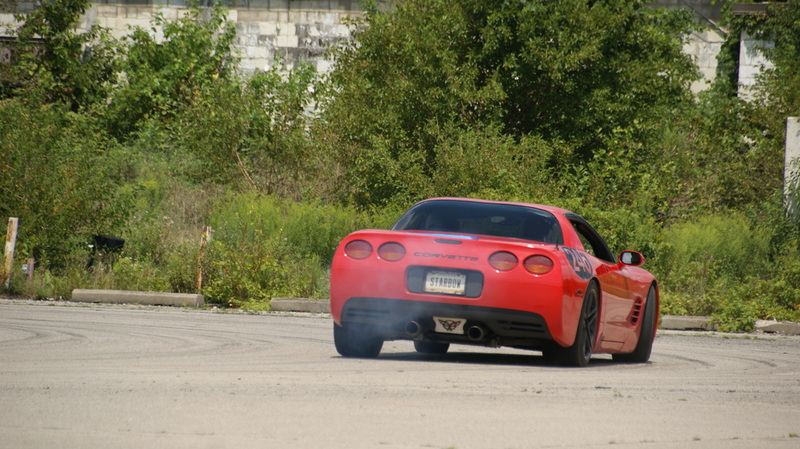 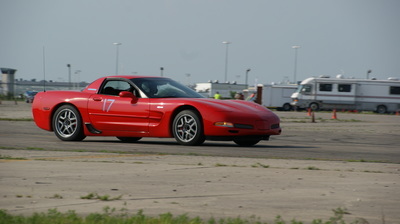 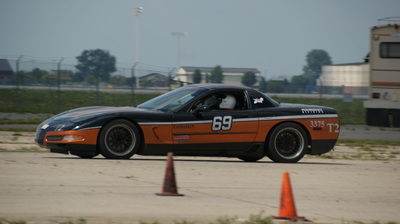 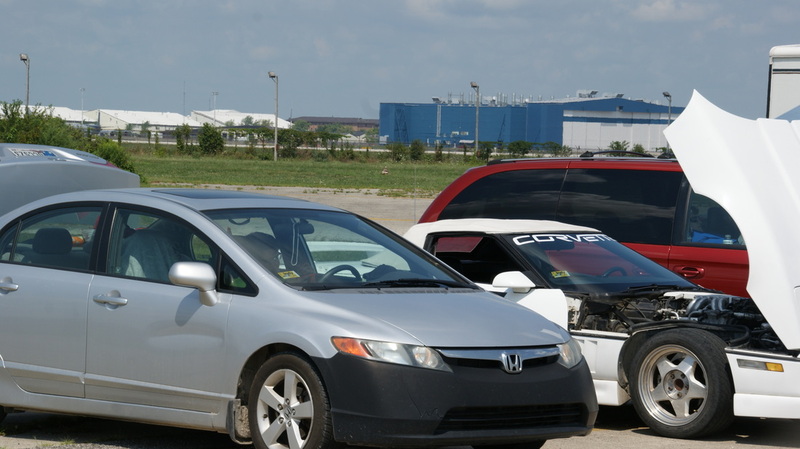 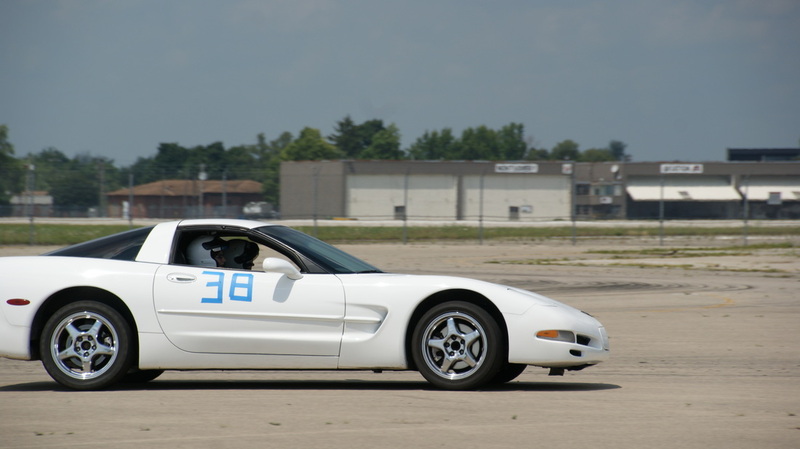 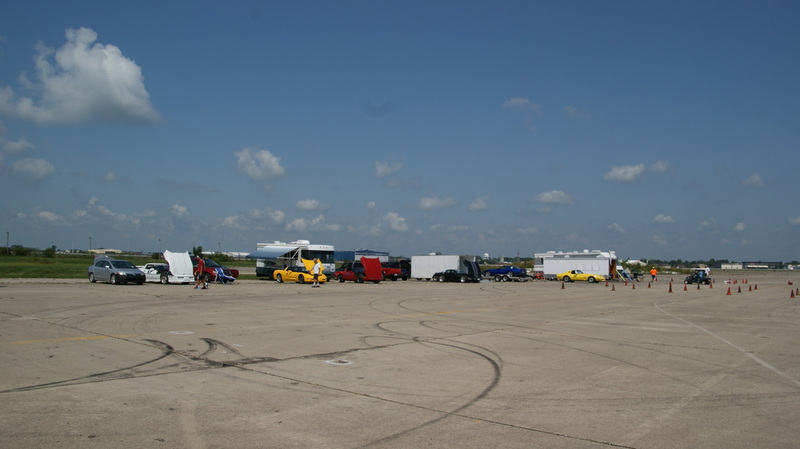 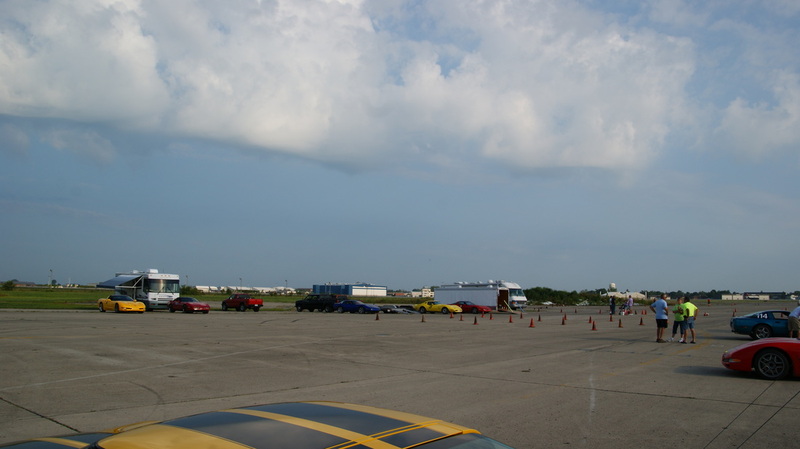 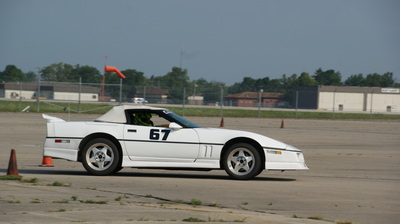 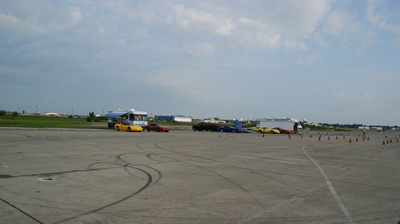 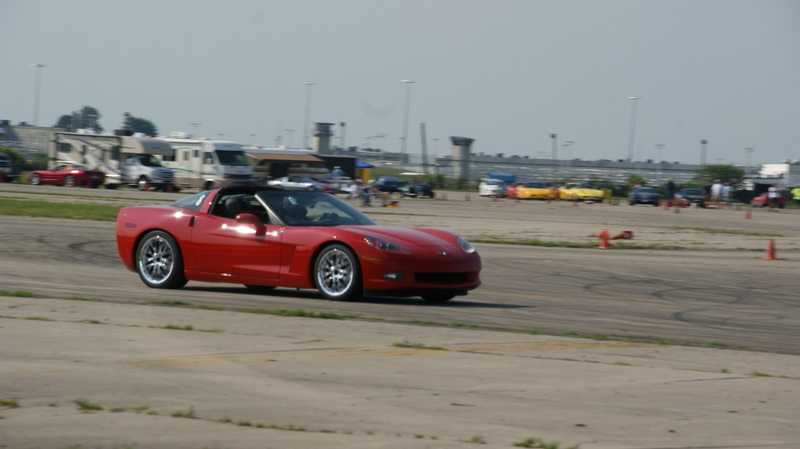 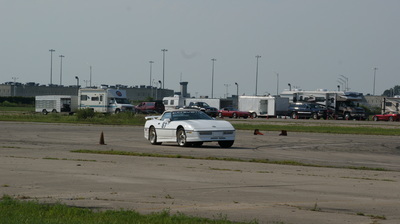 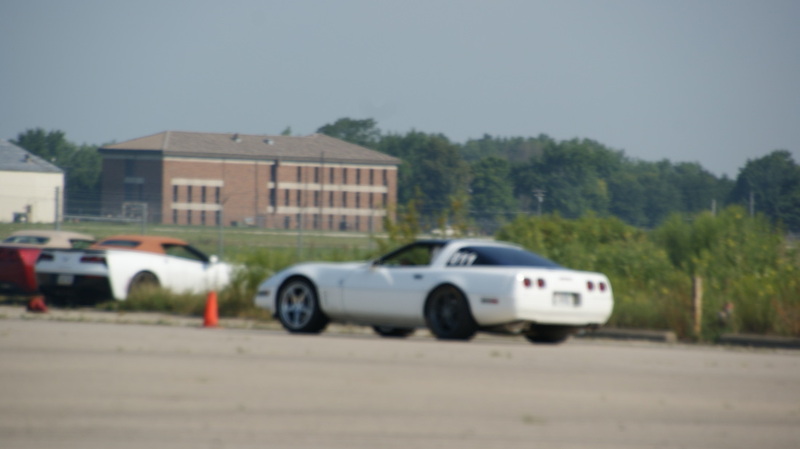 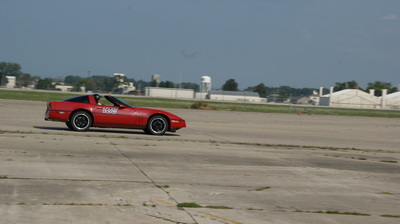 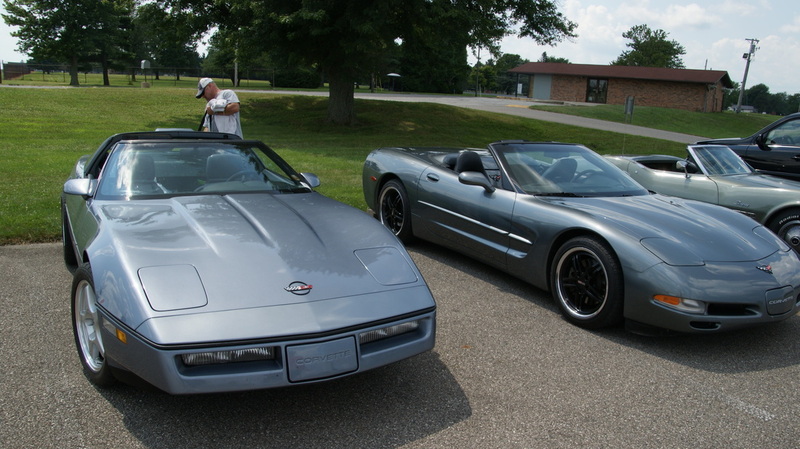 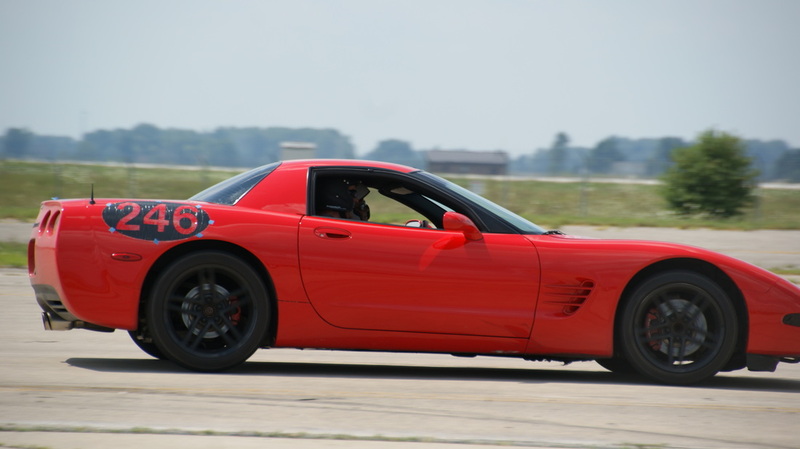 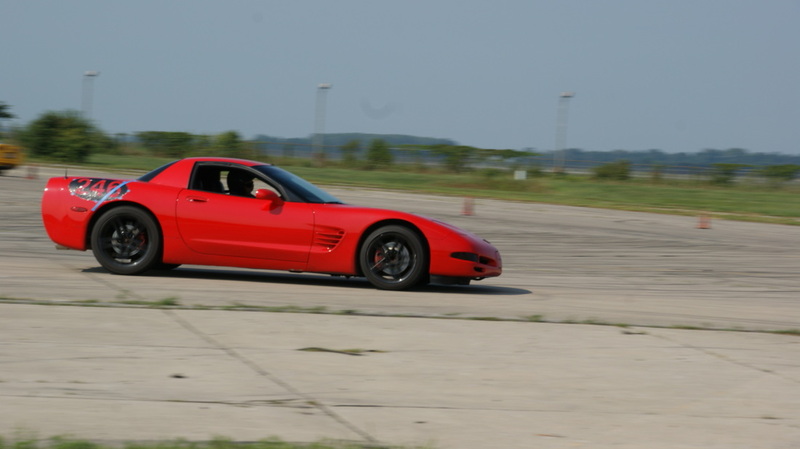 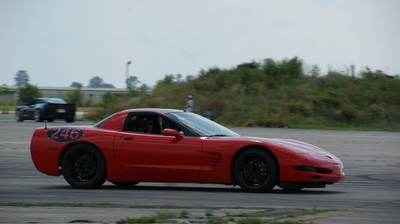 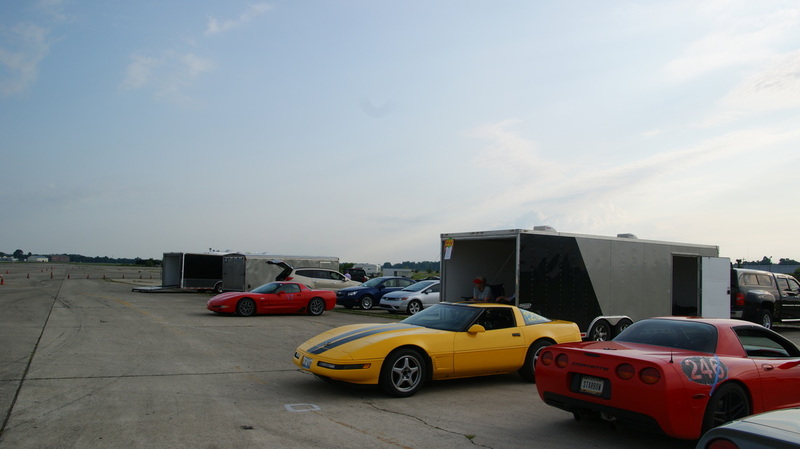 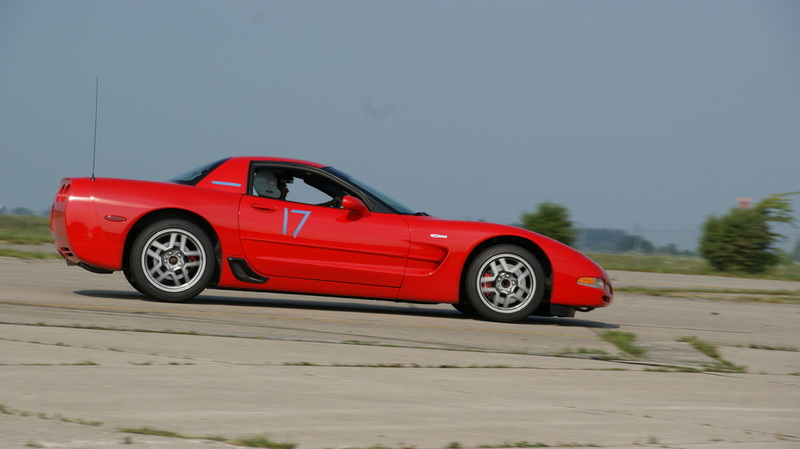 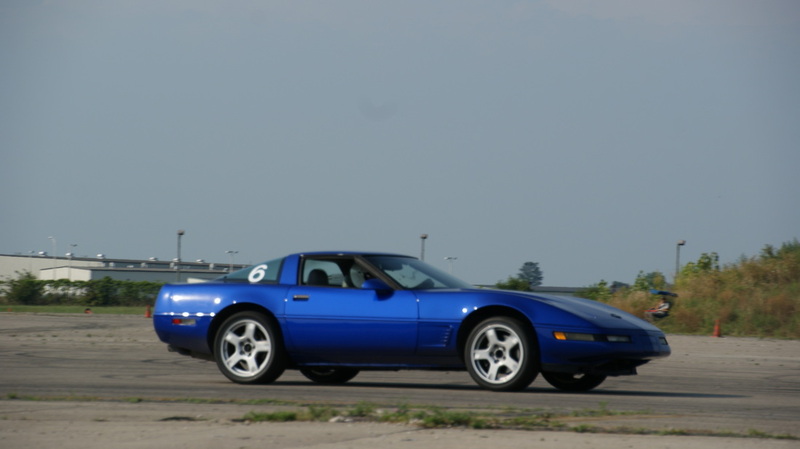 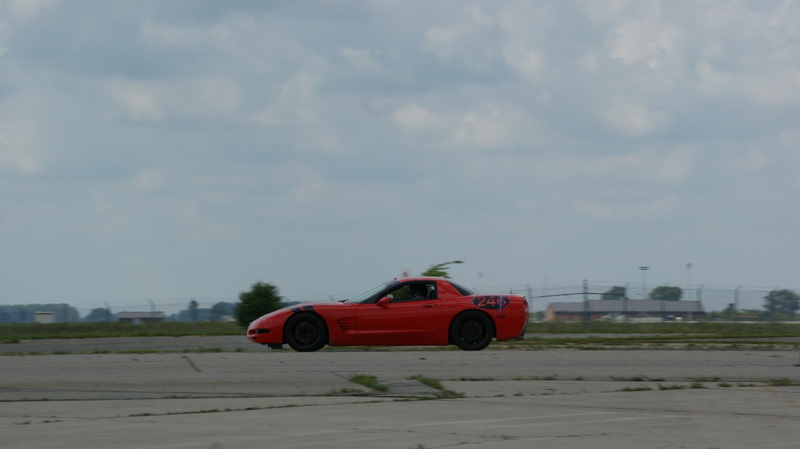 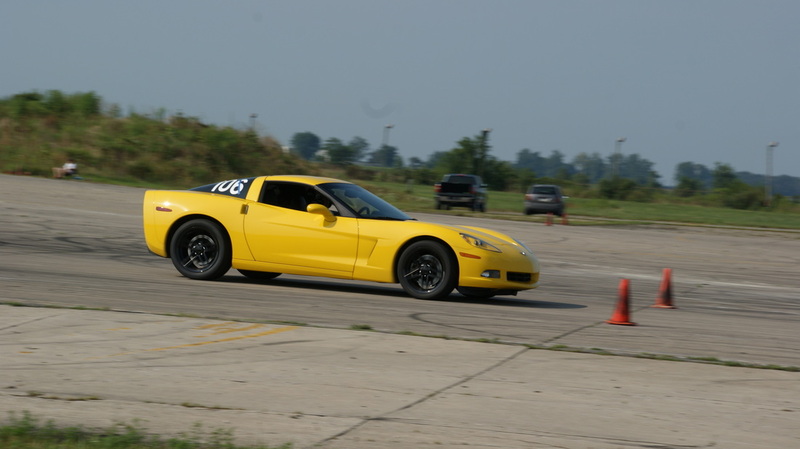 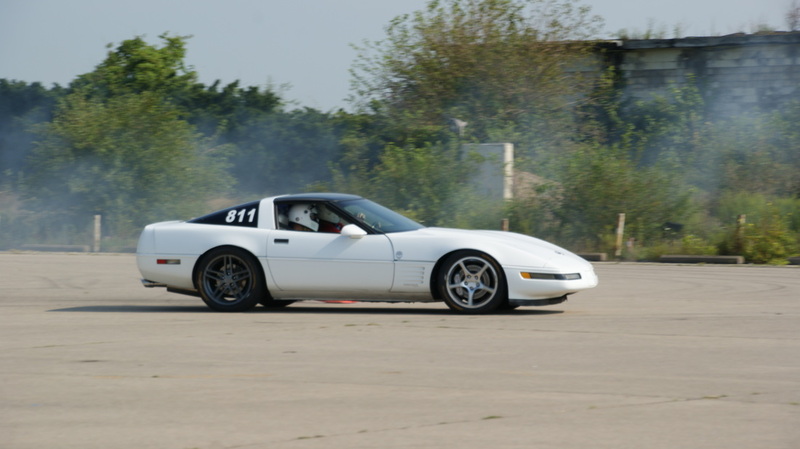 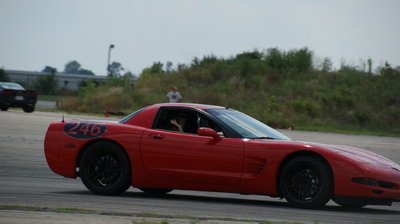 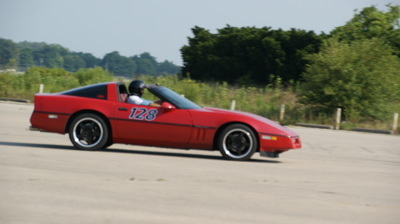 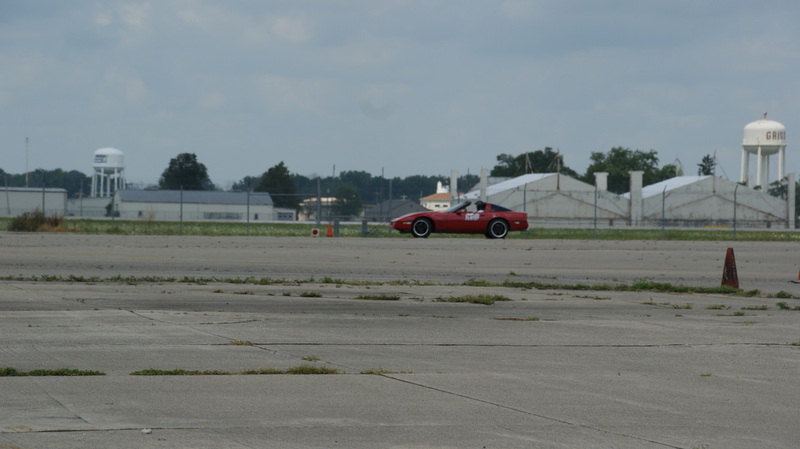 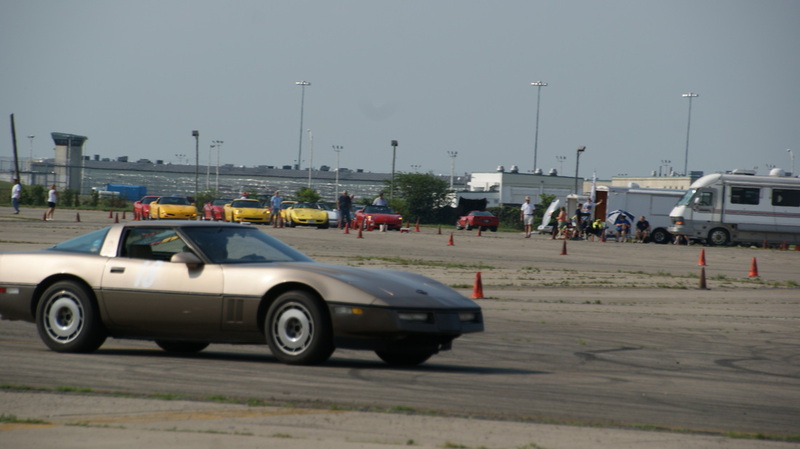 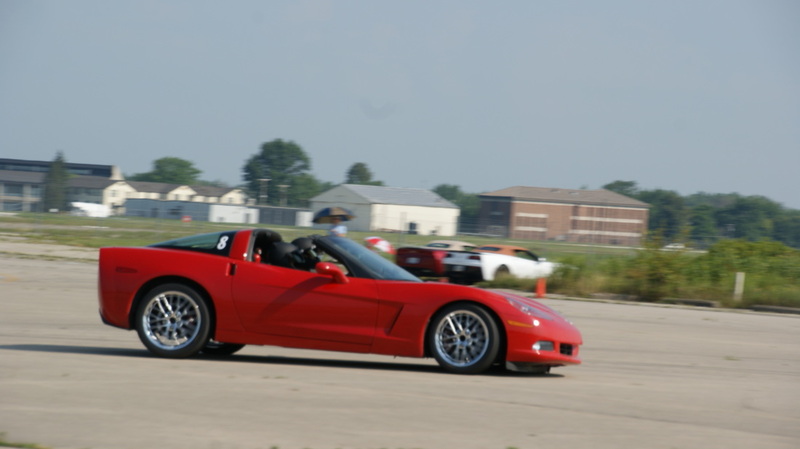 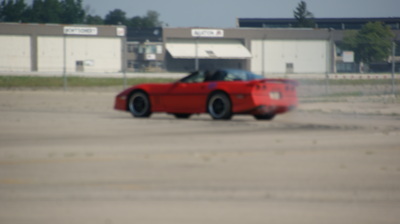 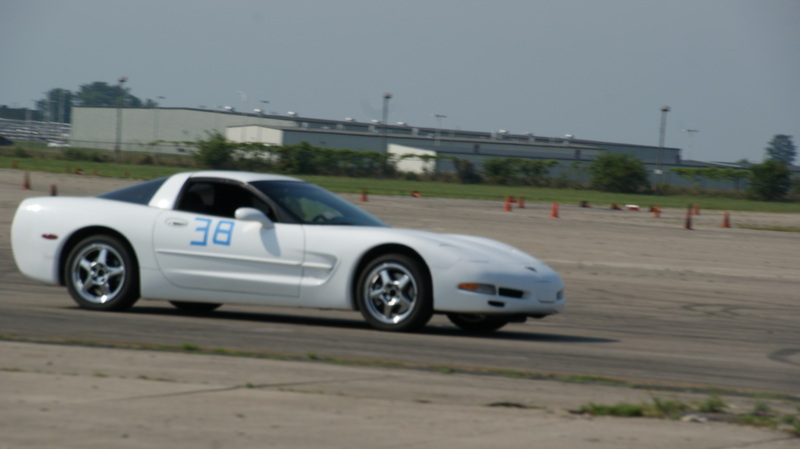 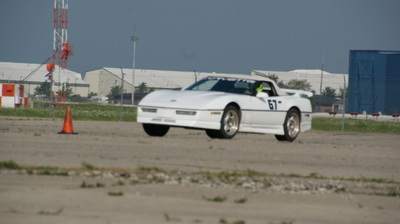 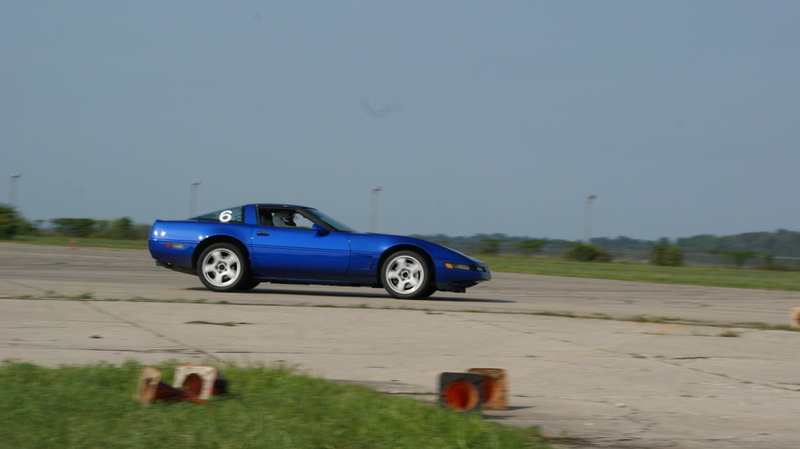 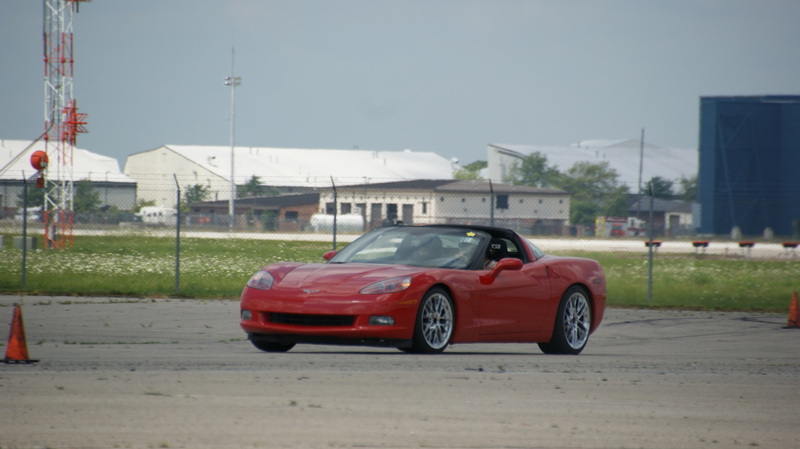 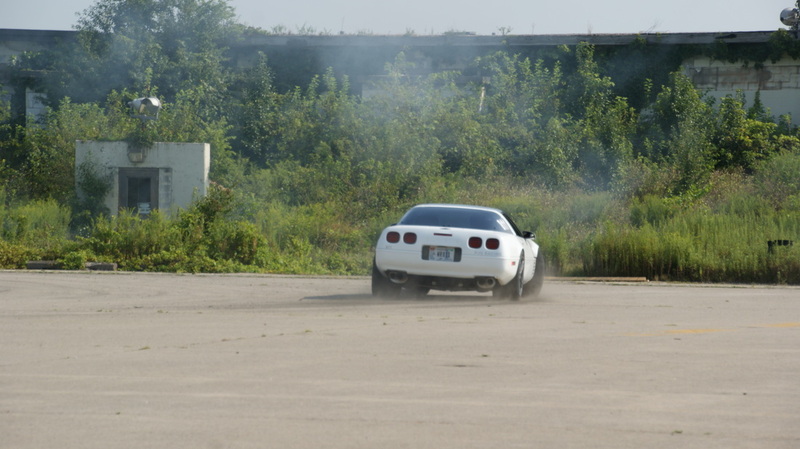 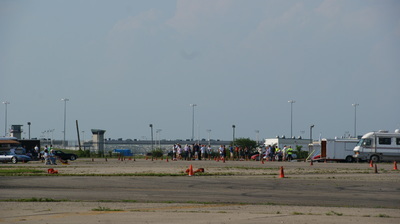 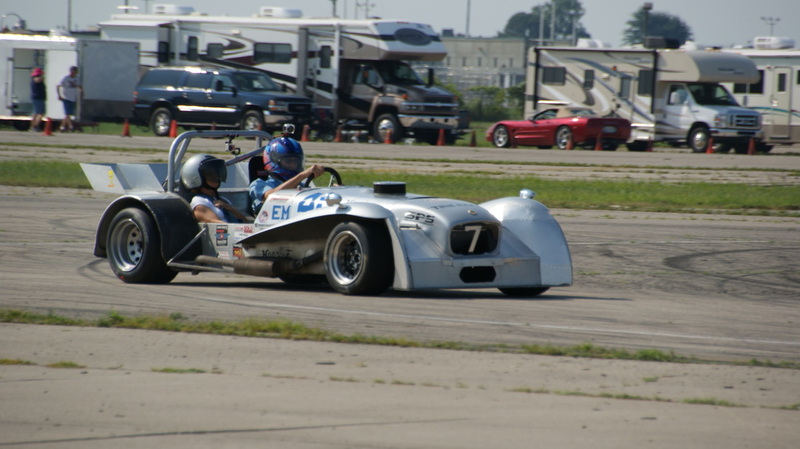 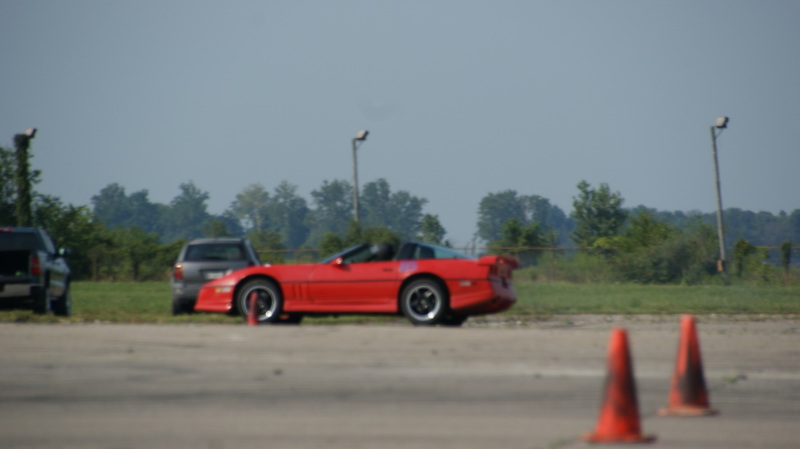 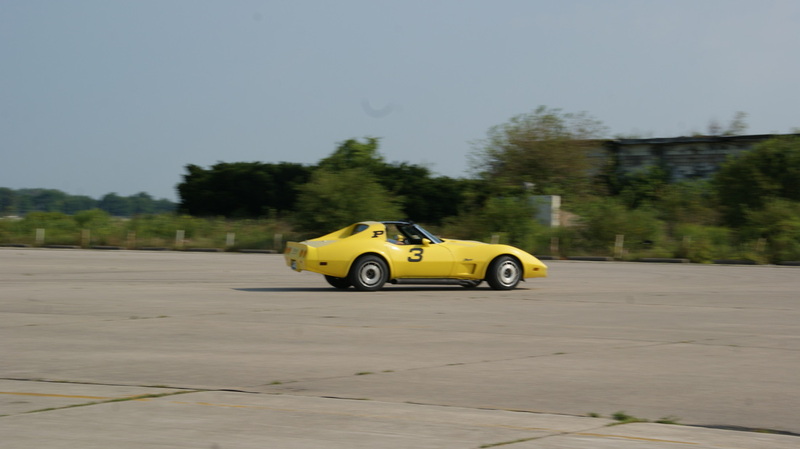 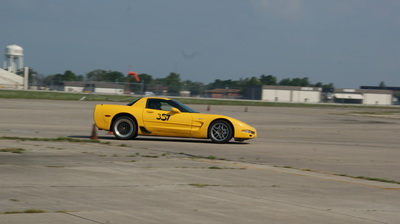 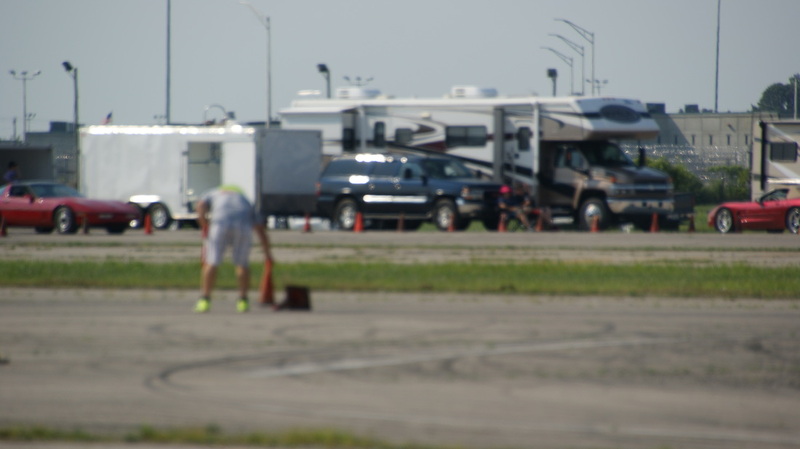 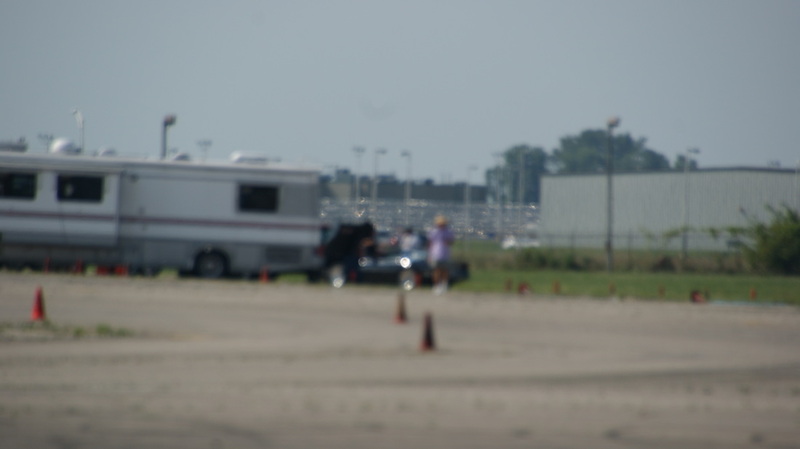 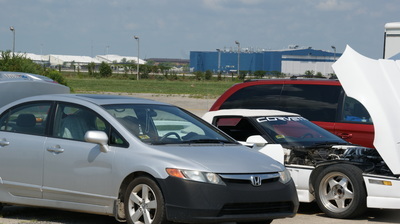 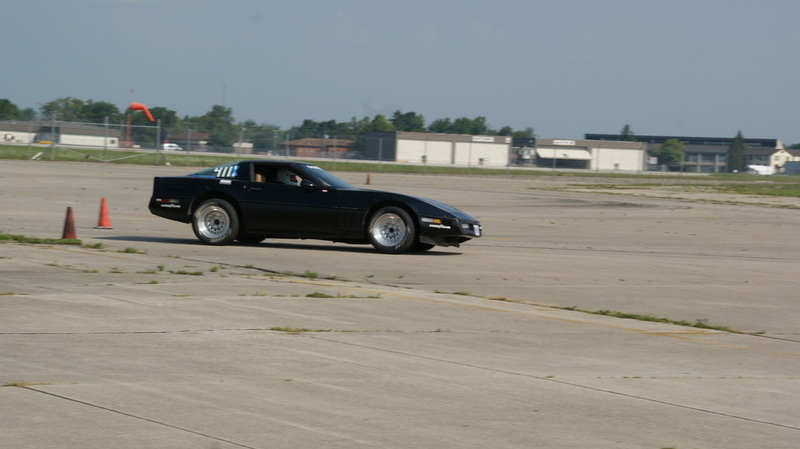 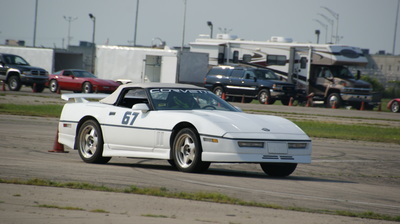 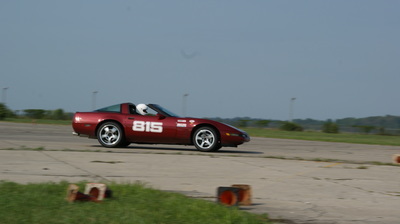 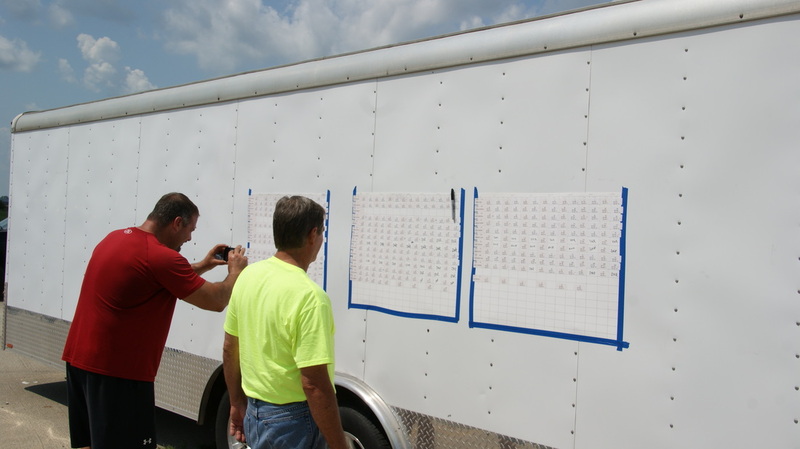 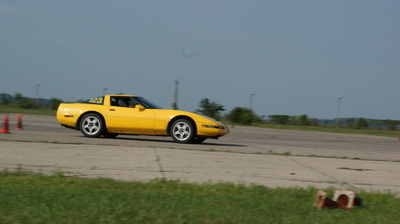 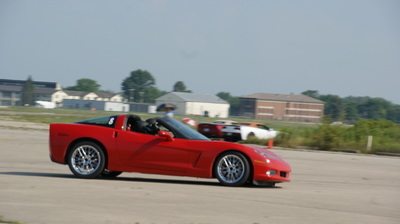 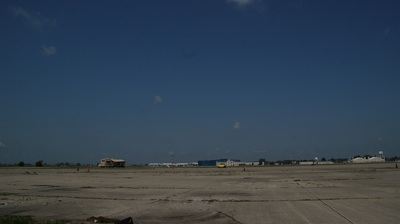 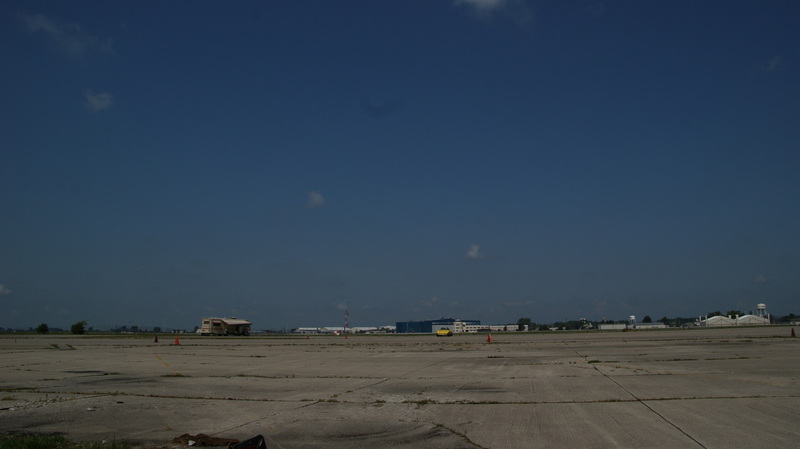 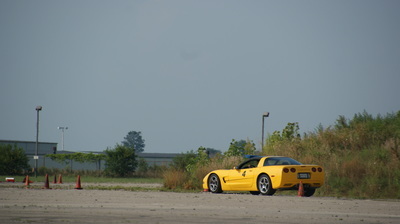 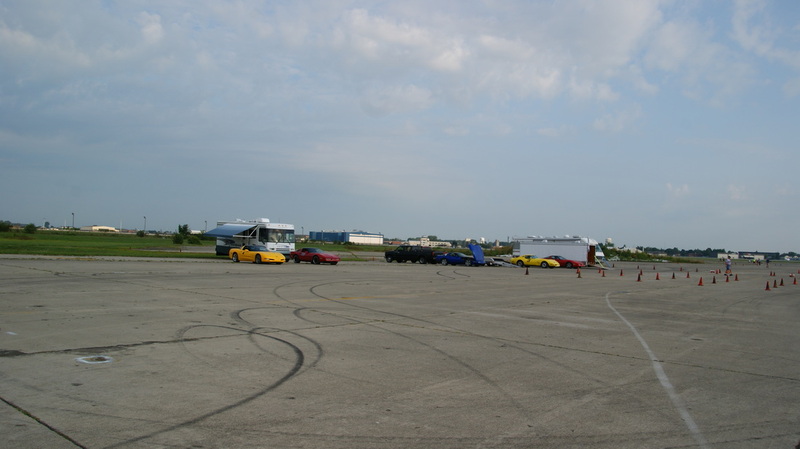 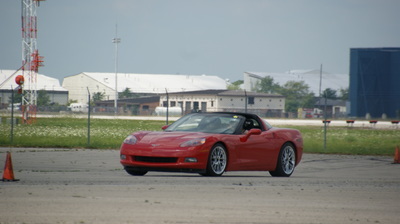 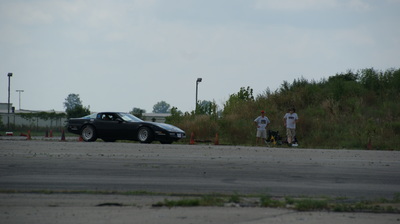 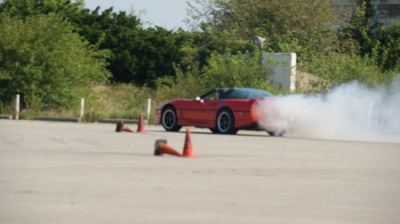 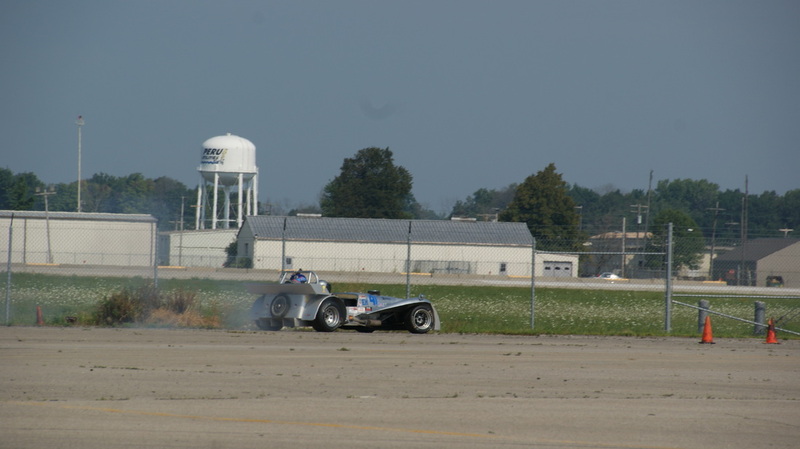 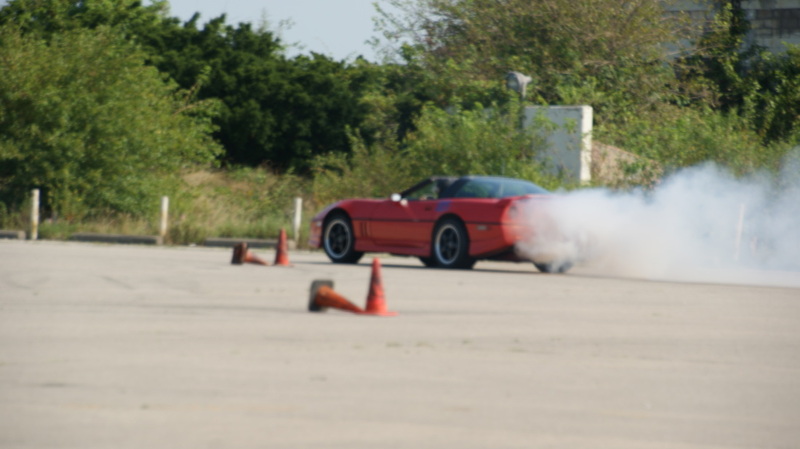 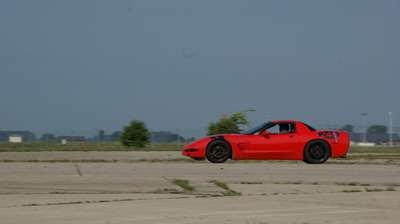 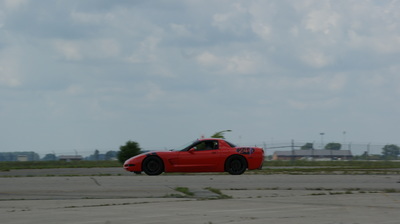 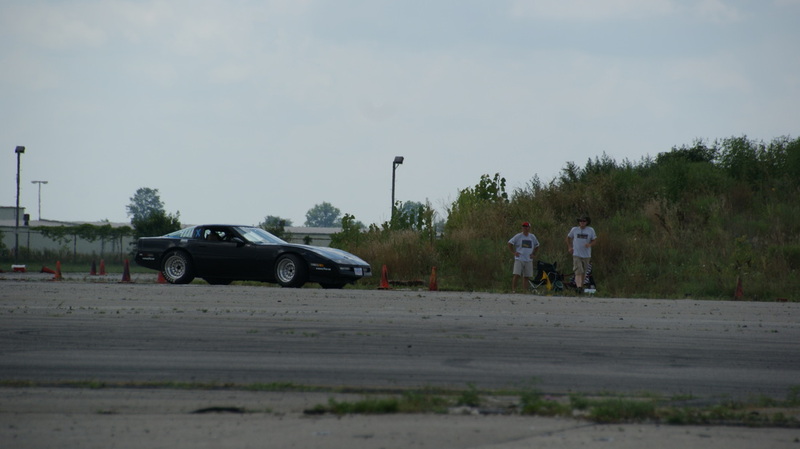 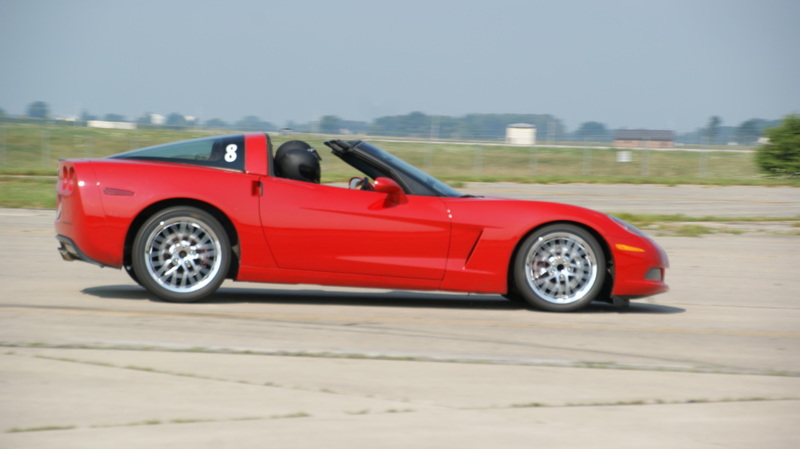 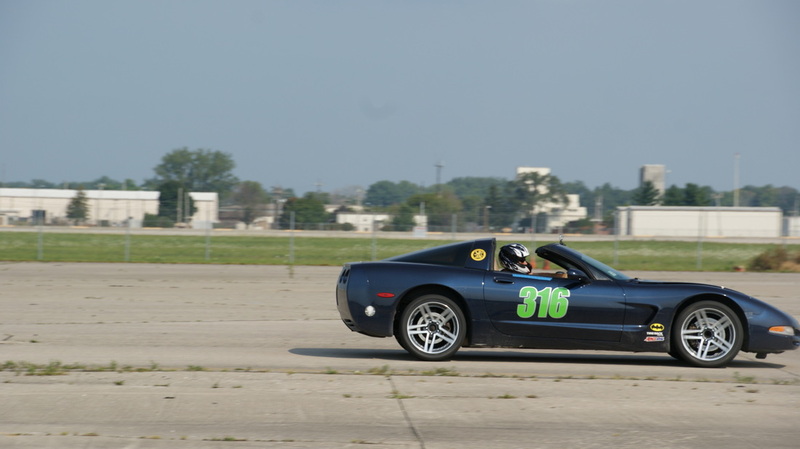 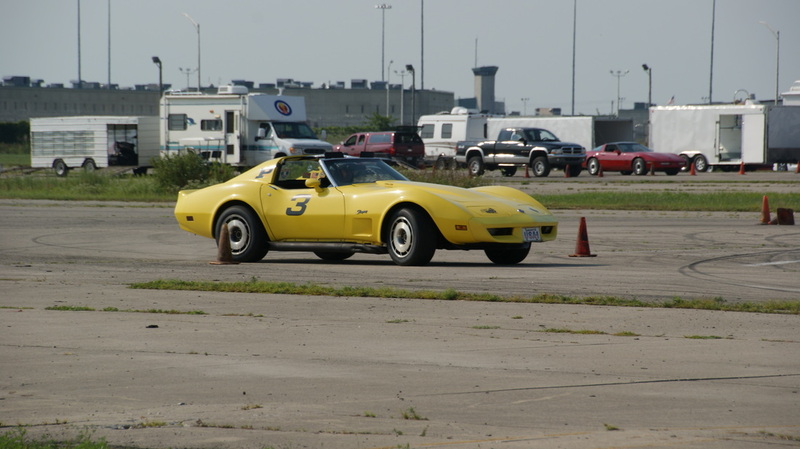 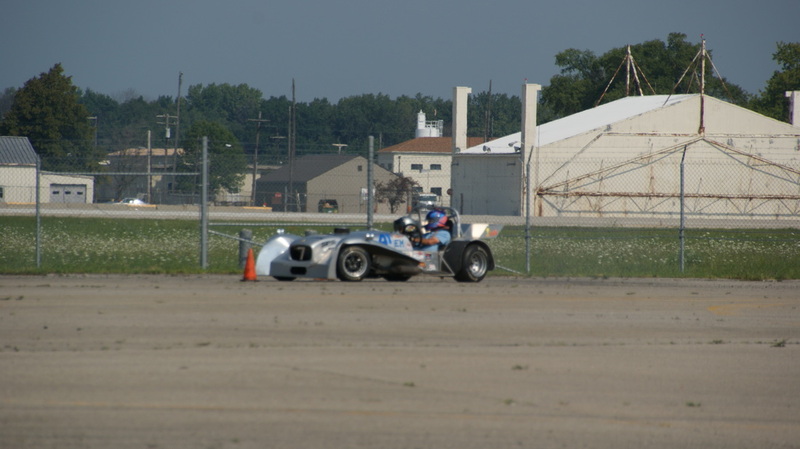 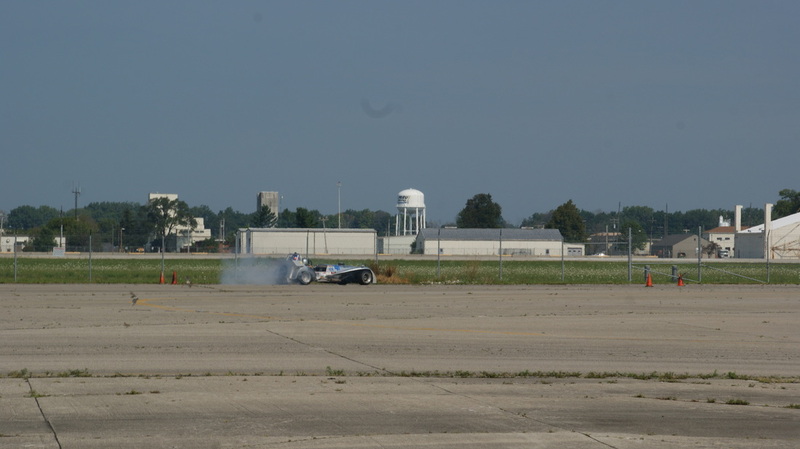 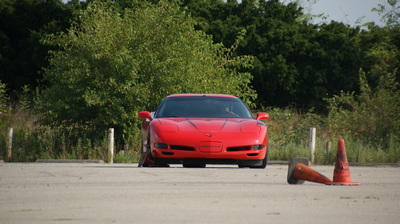 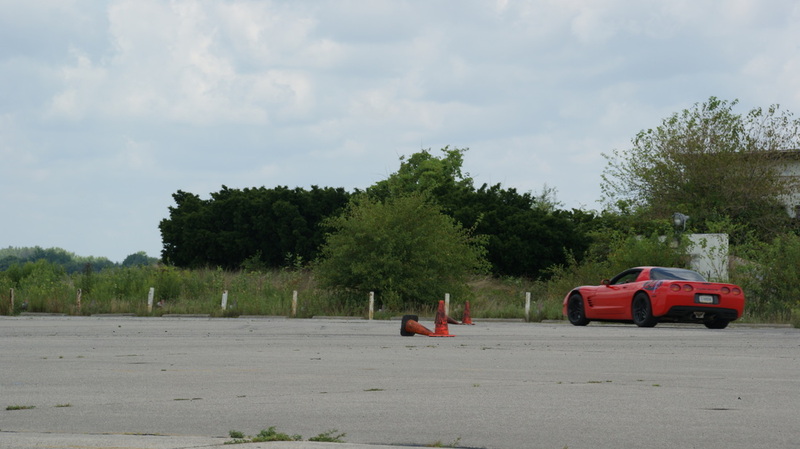 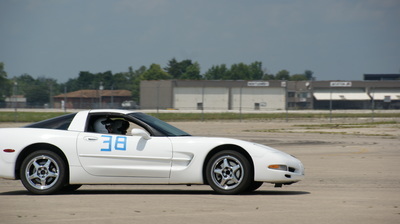 Over the weekend of August 15 & 16 the Fort Wayne and Corvette Club of Indiana clubs held their annual autocross at Grissom Aeroplex near Peru. 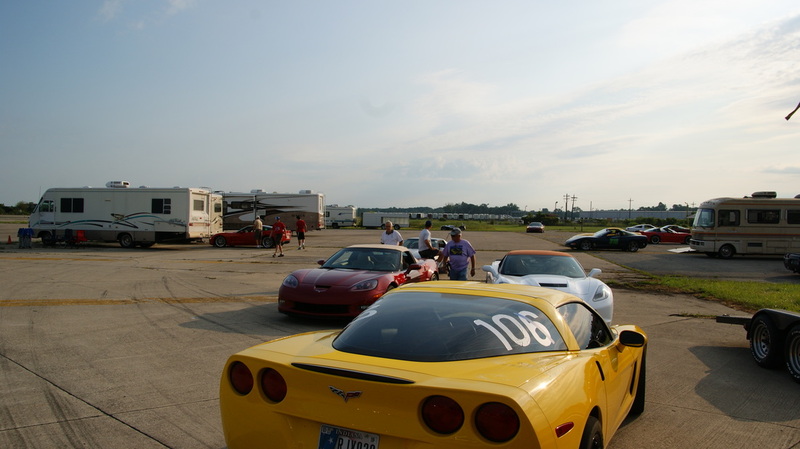 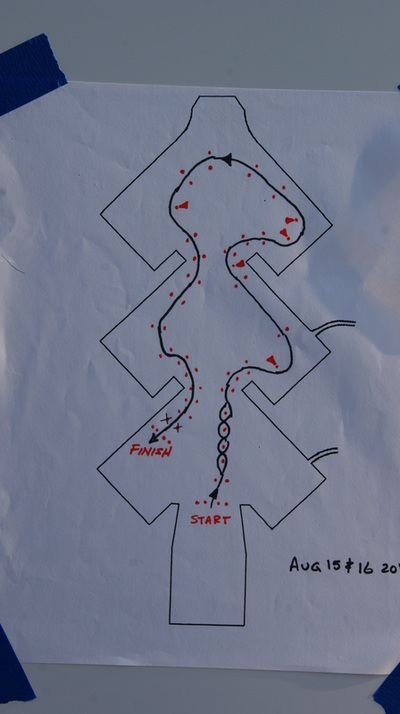 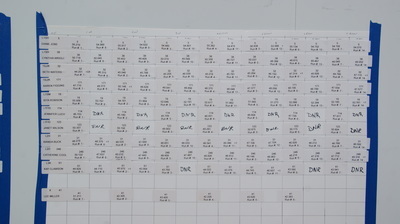 As in past years they held 14 low speed events over the two days with Saturday's events ending up with a steak dinner at the Grissom Museum for the competitors and workers that stayed overnight..The weather for both days was warm and very sunny, which made for great racing. 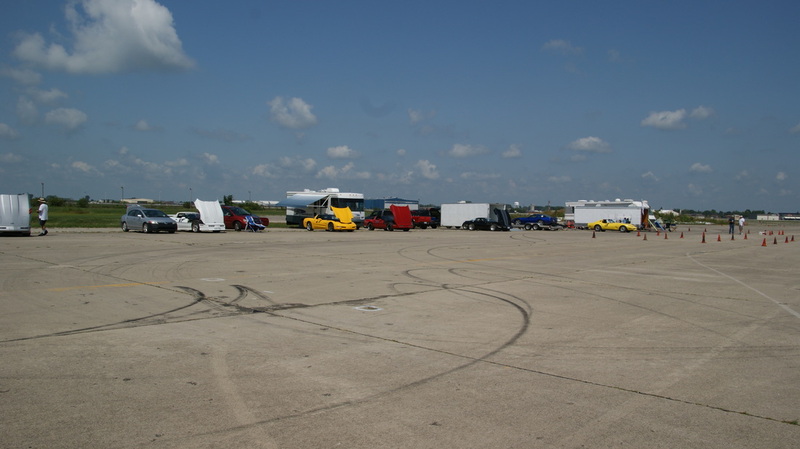 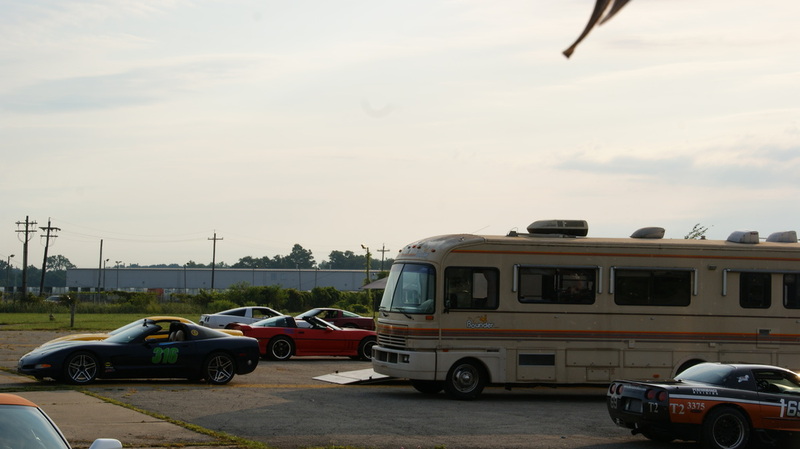 Saturday's driver count was in the low 30's with Sunday's in the mid 30's for a successful weekend. 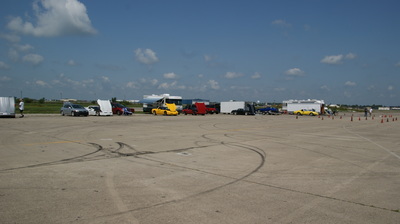 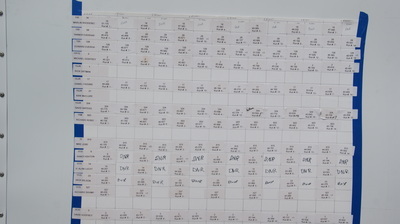 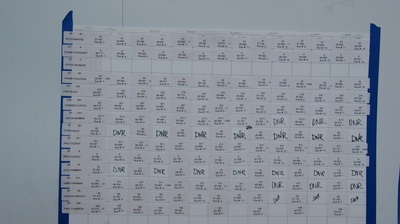 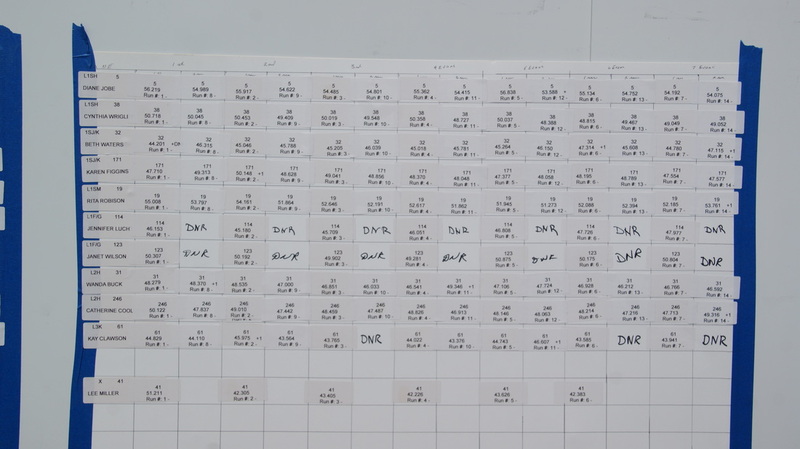 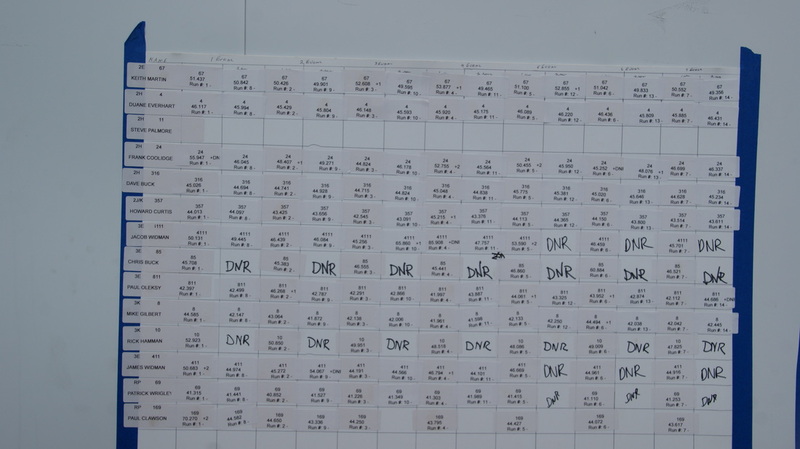 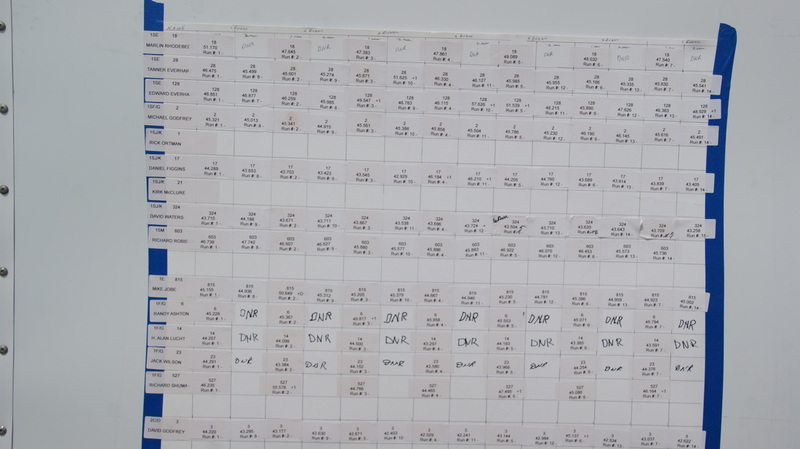 On both days the events ended around 2:30, as there were no issues in timing or cars breaking down. 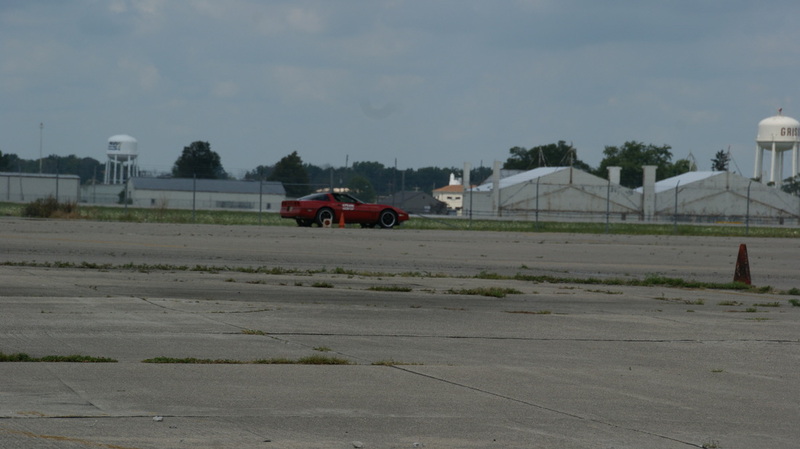 Sunday's afternoon finish time allowed for the Indiana Governors Meeting to start at 3:30 in the Grissom Museum, which was good as that meeting went on a bit longer than usual. 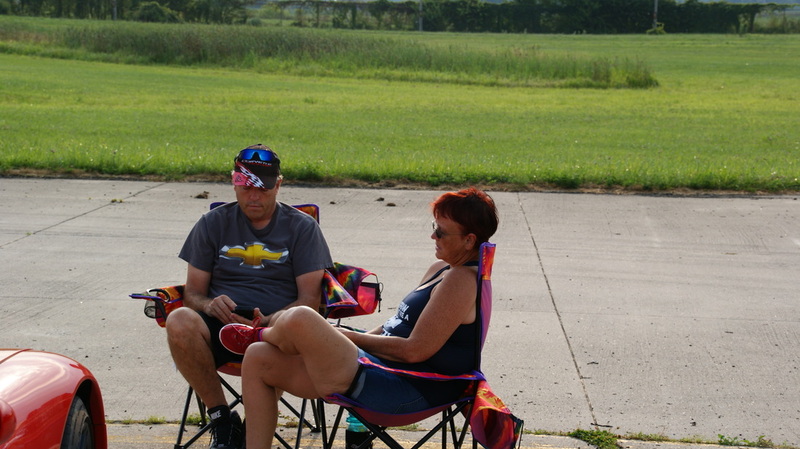 Both clubs put on a very successful weekend which was greatly enjoyed by all of those that attended.